For many around the world, the beginning of a New Year can mean reflecting on the past, looking forward to the future, and celebrating with friends and family. 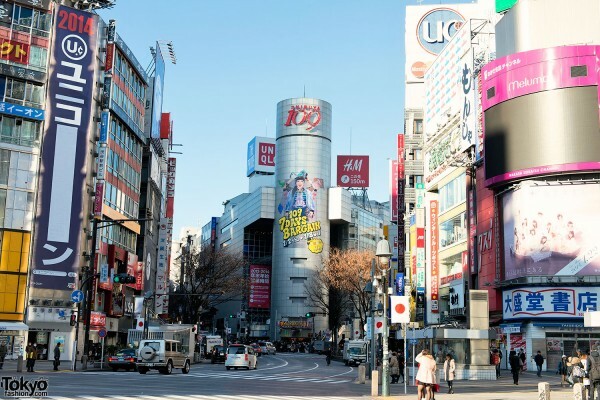 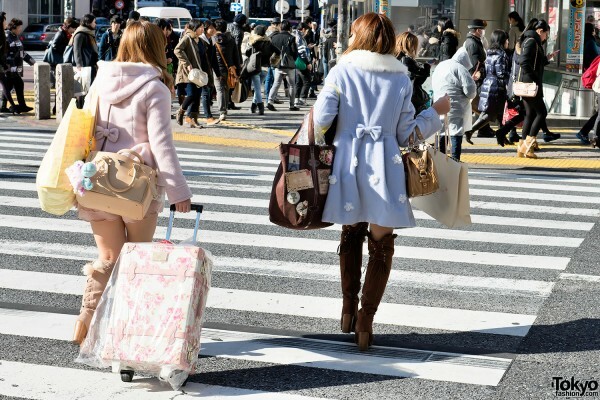 But in the shopping districts of Harajuku and Shibuya, it means one thing above all else – Fukubukuro! 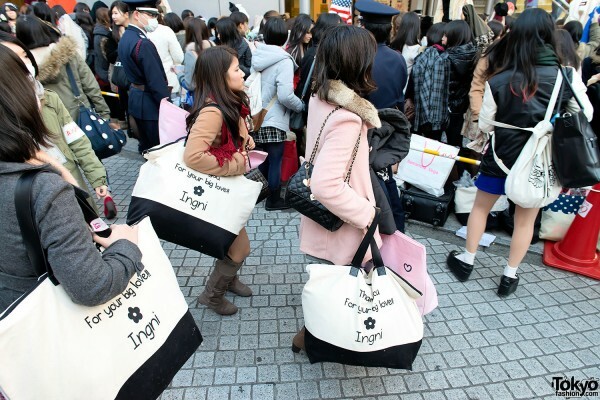 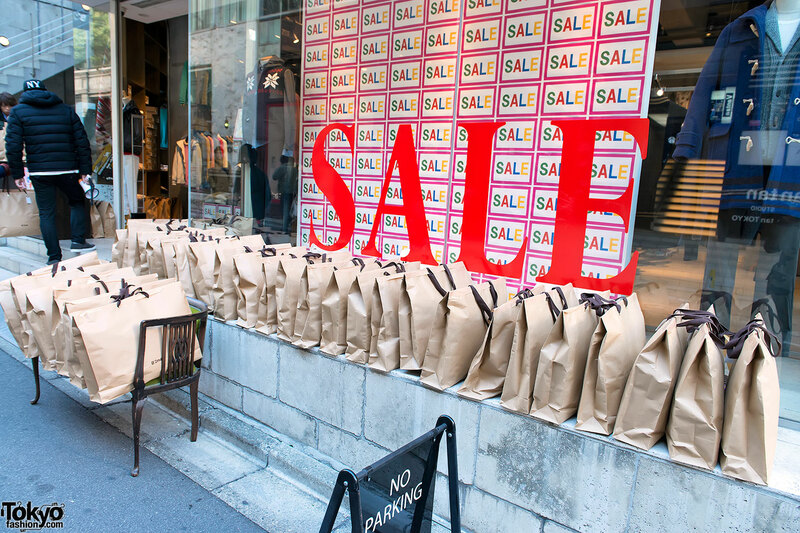 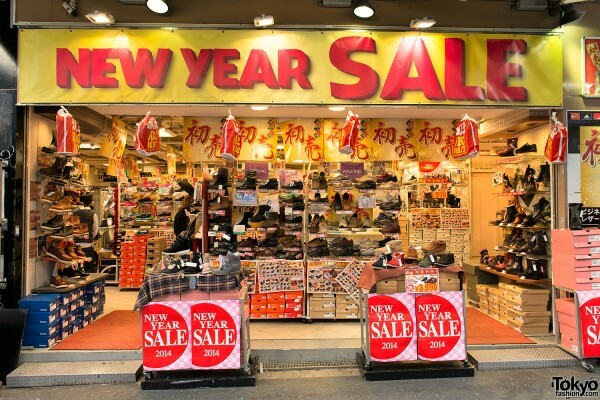 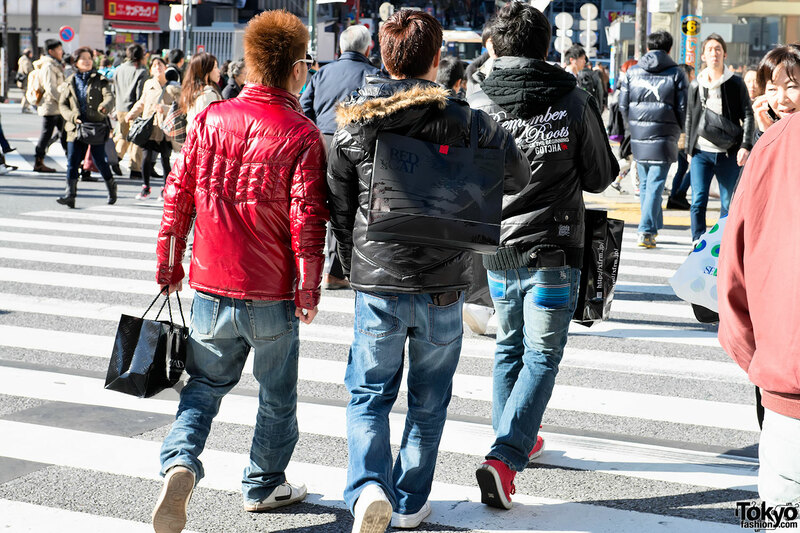 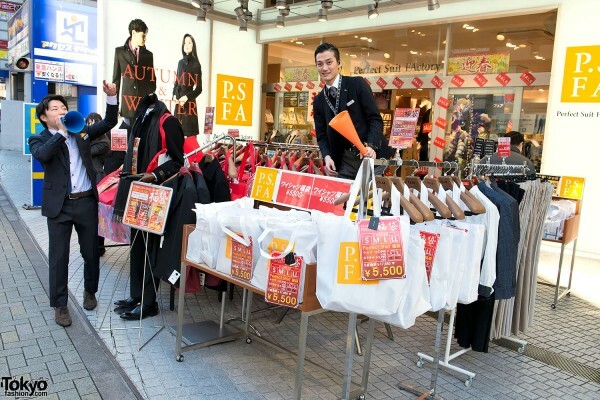 Japanese fukubukuro – sometimes called “Lucky Bags”, “Mystery Bags”, or “Happy Bags” – appear at shops throughout the country on the first day of the year. 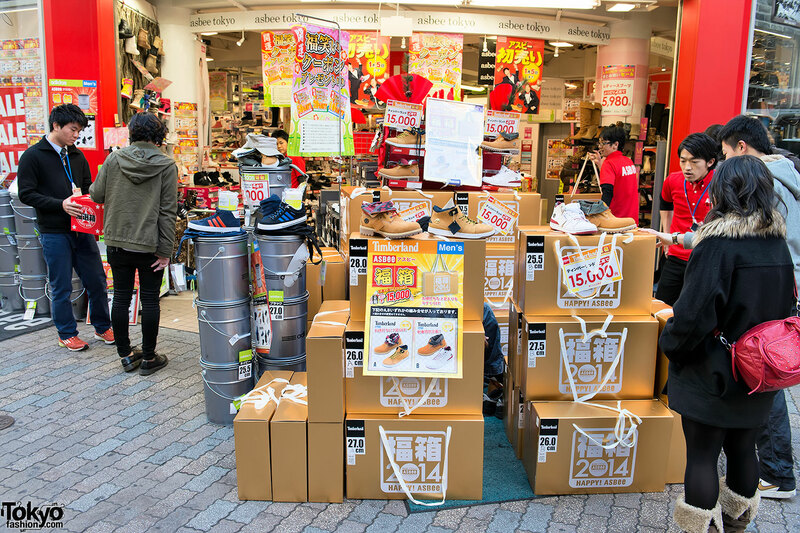 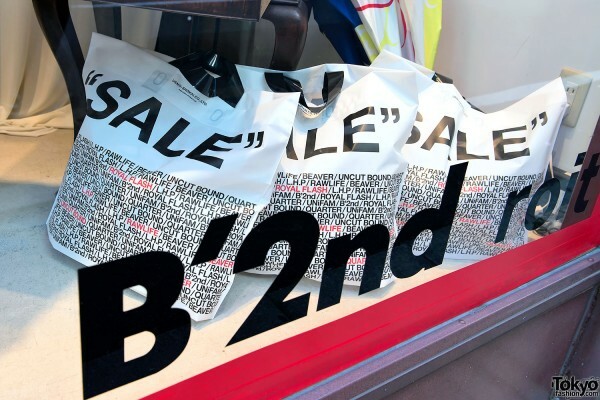 A key element of Japanese New Year’s sales, these bags (which can also take the form of boxes or even “lucky buckets”) are traditionally “blind” purchases. People buy bags from their favorite shops without knowing what’s inside. The gimmick is that the value of the items included is far greater than the cost of the bag. 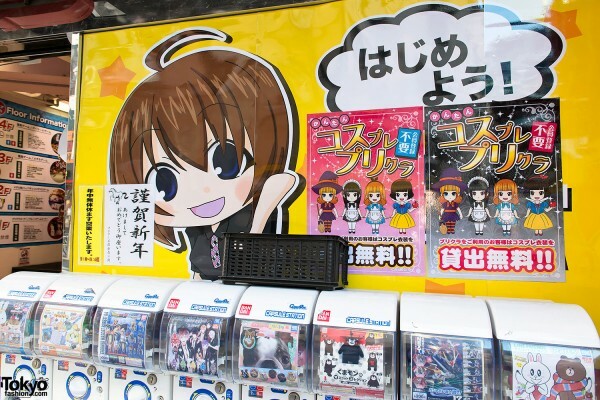 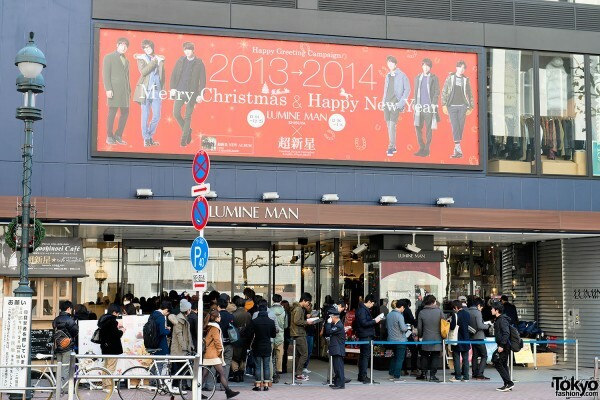 Thus, a fukubukuro costing 10,000 yen (USD$100) might have 50,000 yen (USD$500) worth of items inside. Beyond the huge savings, the element of surprise when opening a fukubukuro bag is part of what makes them so popular. 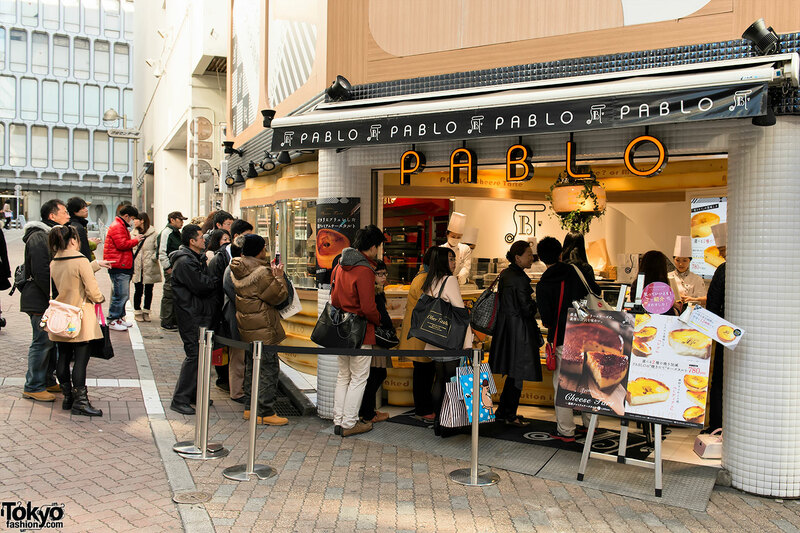 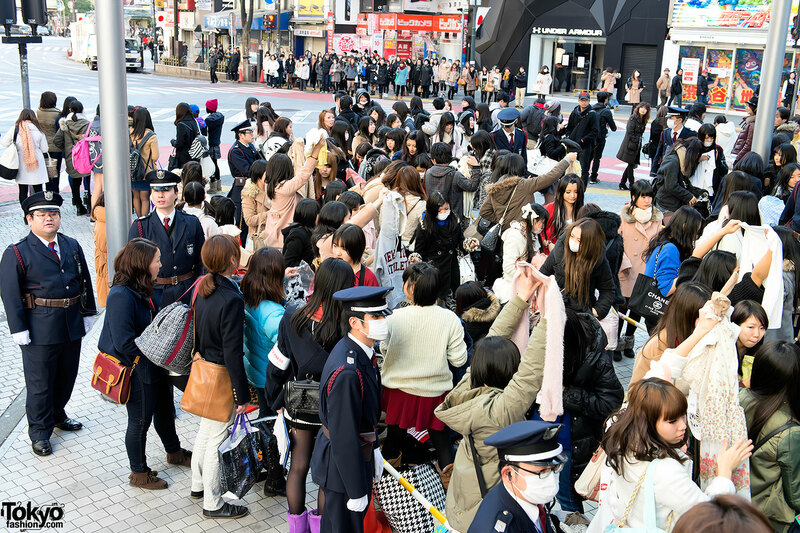 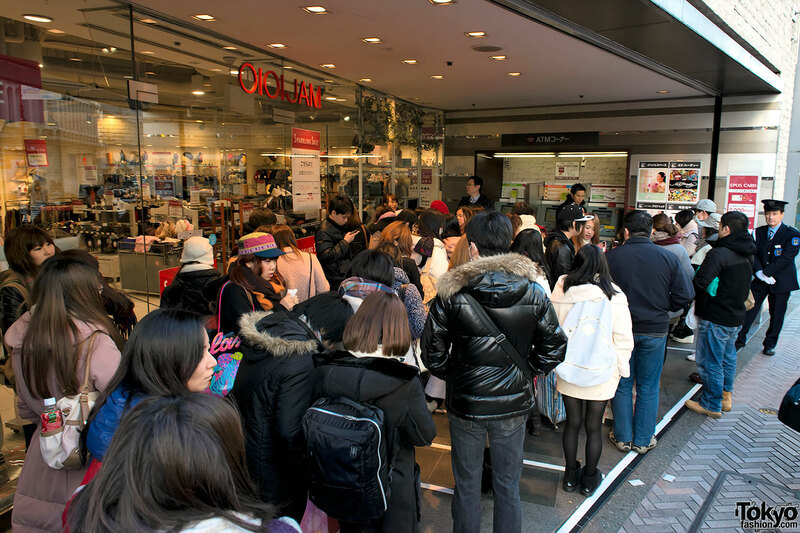 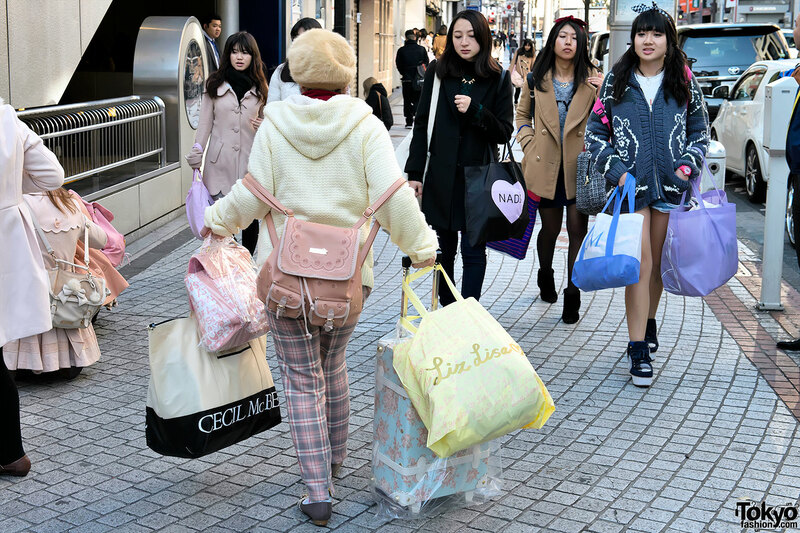 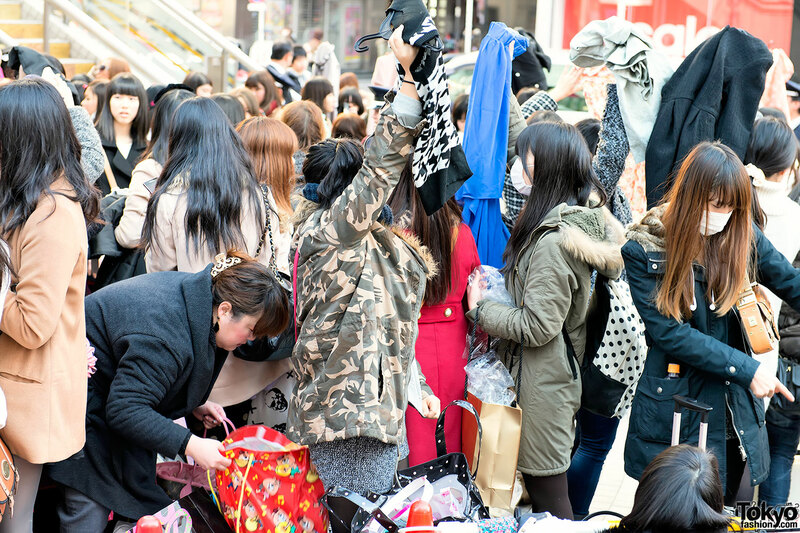 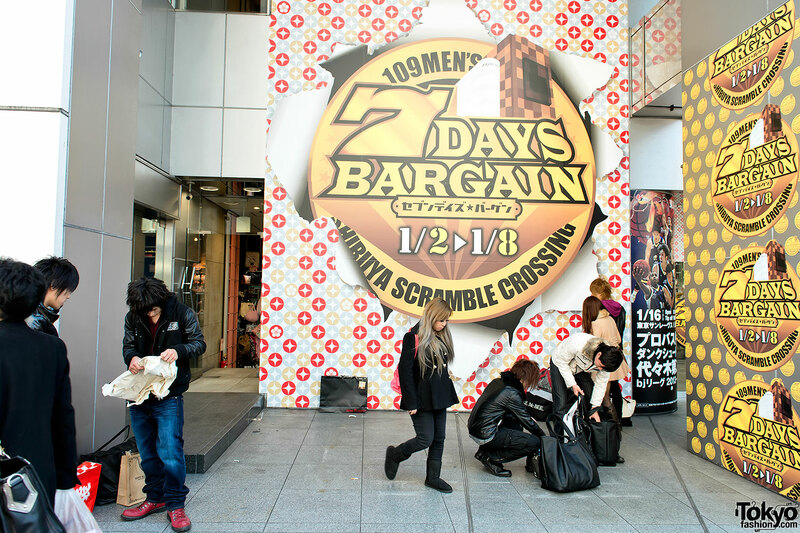 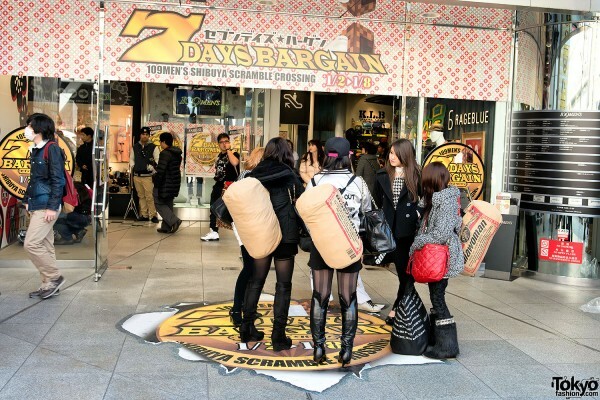 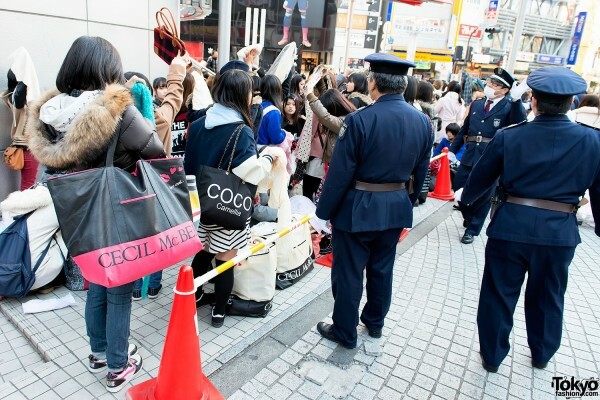 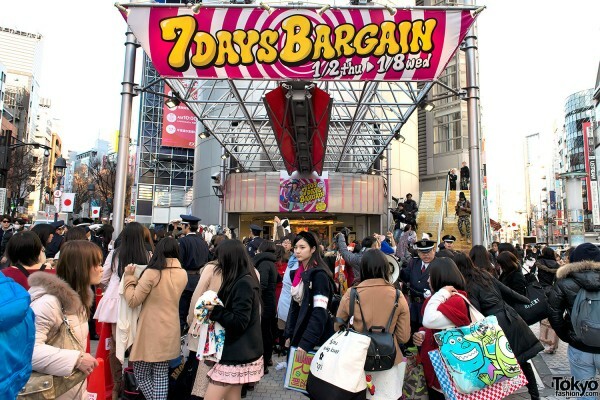 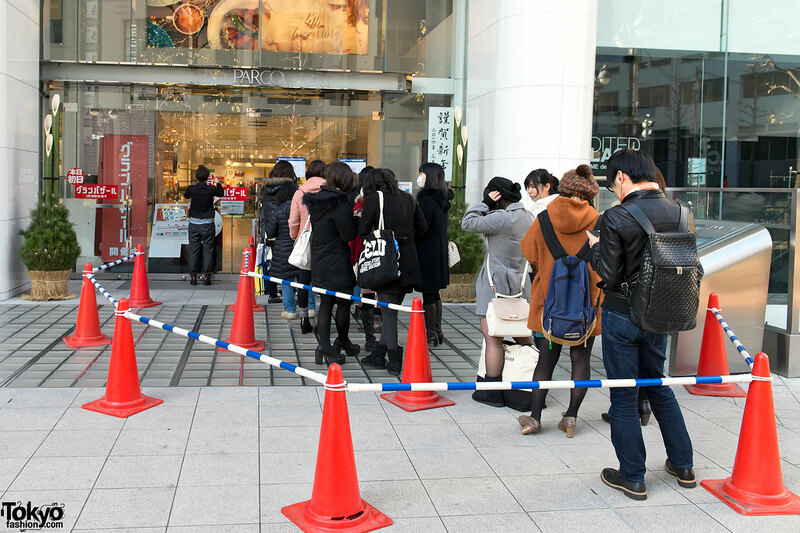 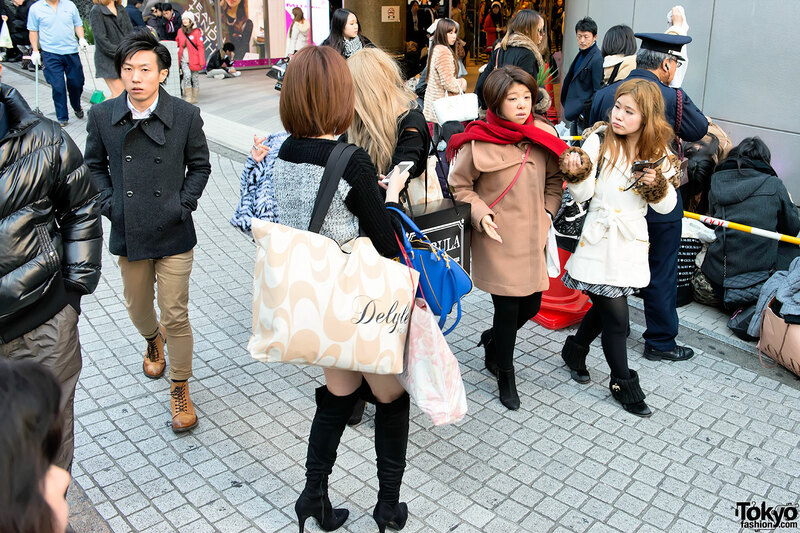 Fukubukuro offer the promise of amazing bargains – and a lottery-like rush – for shoppers. 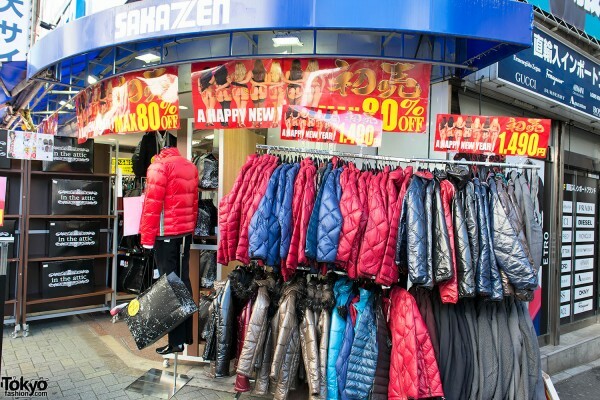 Retailers benefit too, as they often pack the bags with items which didn’t sell as well as expected. In recent years, the traditional fukubukuro system has evolved somewhat. 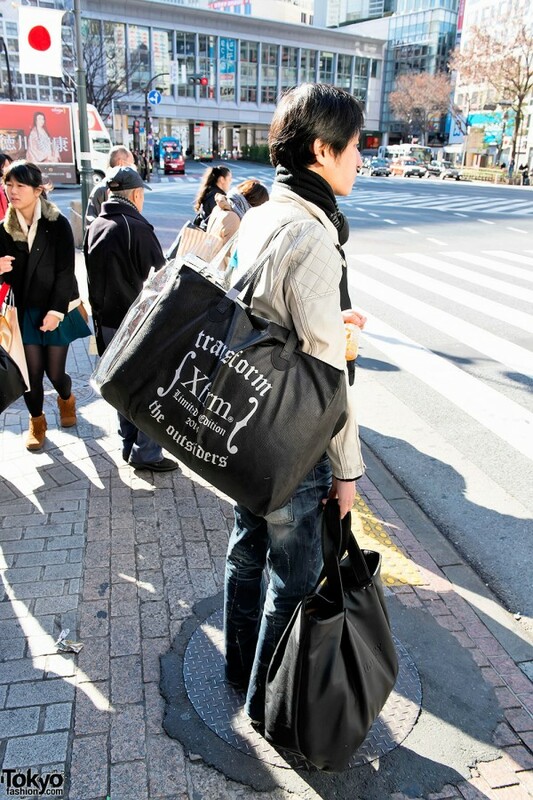 Most retailers now mark the bags with the size of the clothing inside, making sure that you don’t end up with XXS items if you’re an XXL. 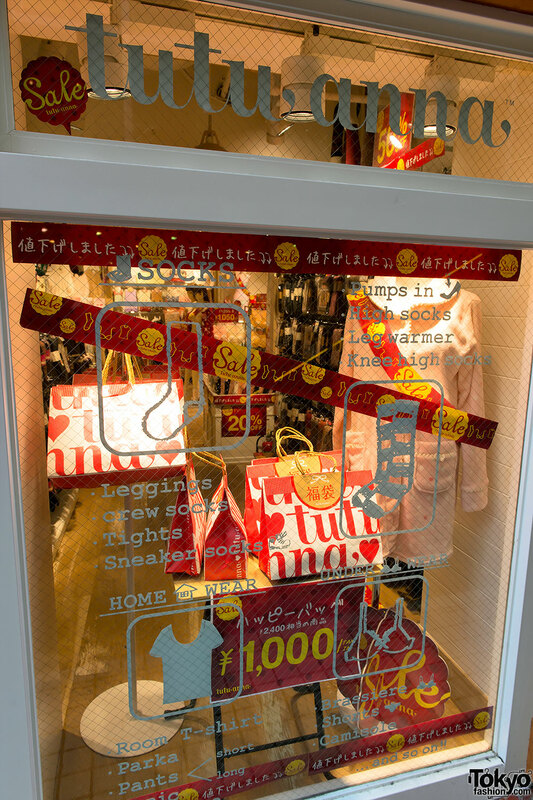 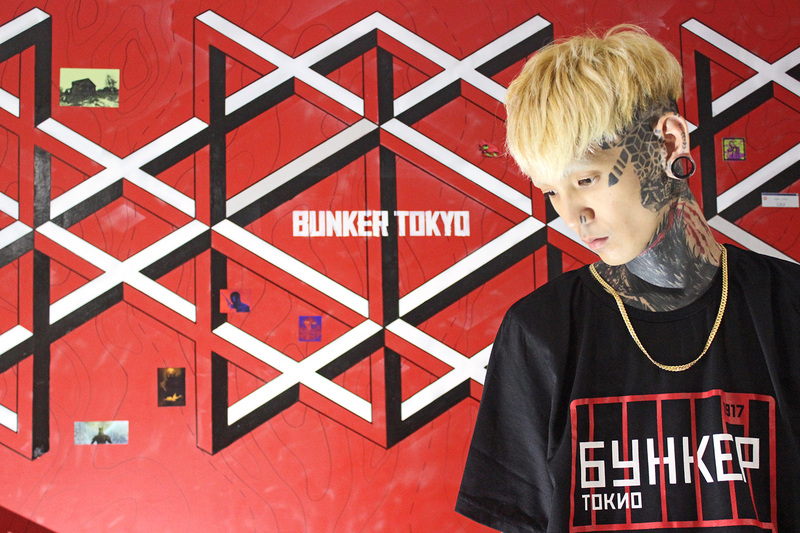 Stores and labels also create fukubukuro-only exclusive items. 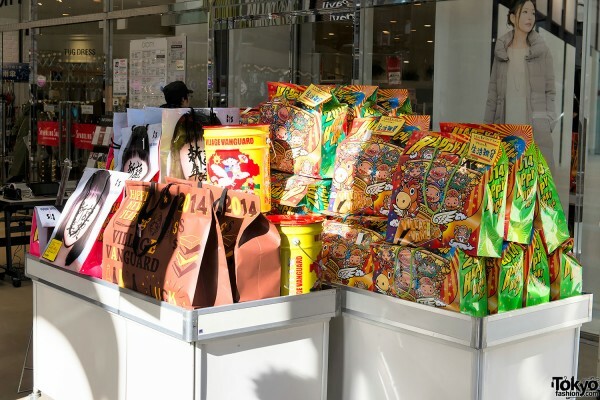 And some brands have gone so far as to dispense with the surprise element altogether, disclosing the contents of their lucky bags before purchase. 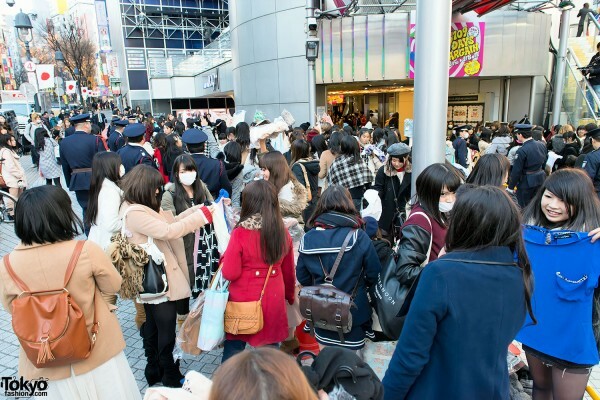 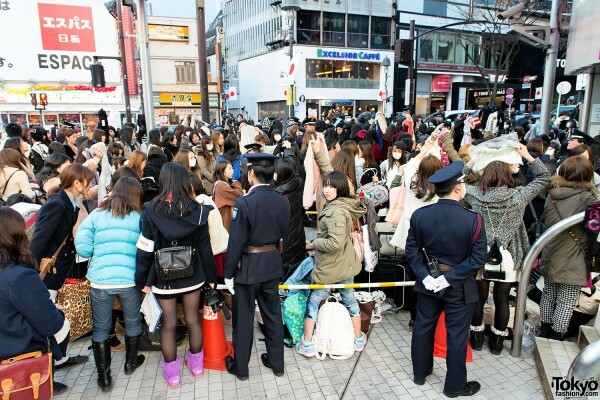 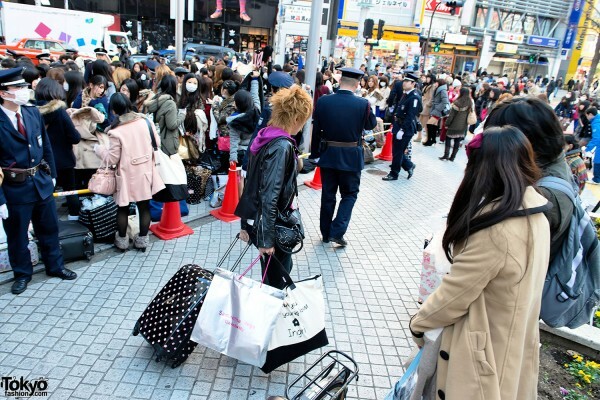 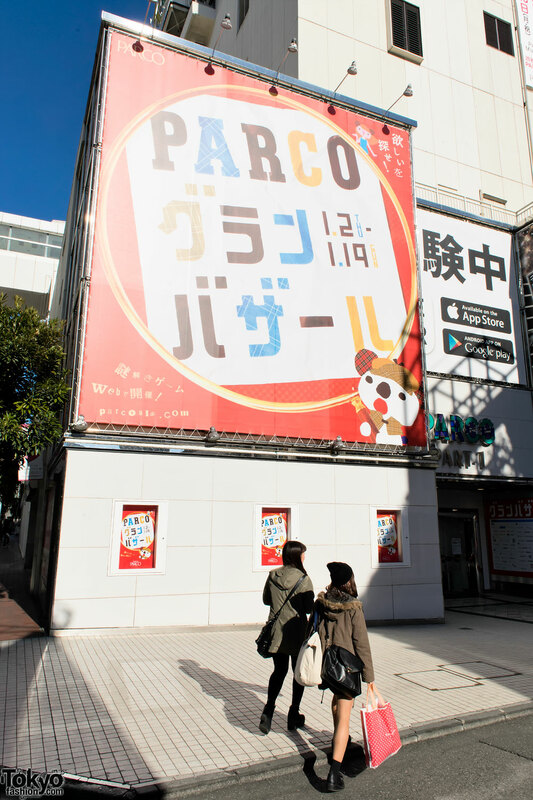 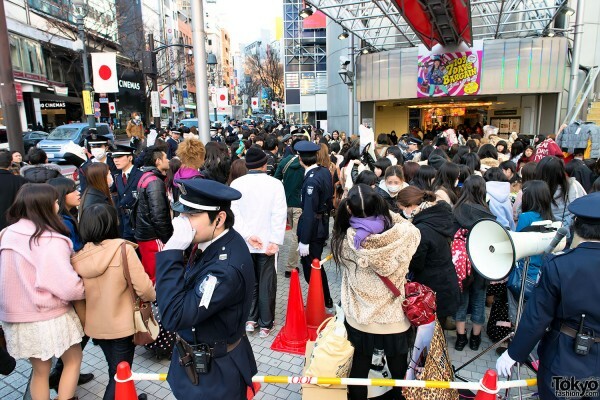 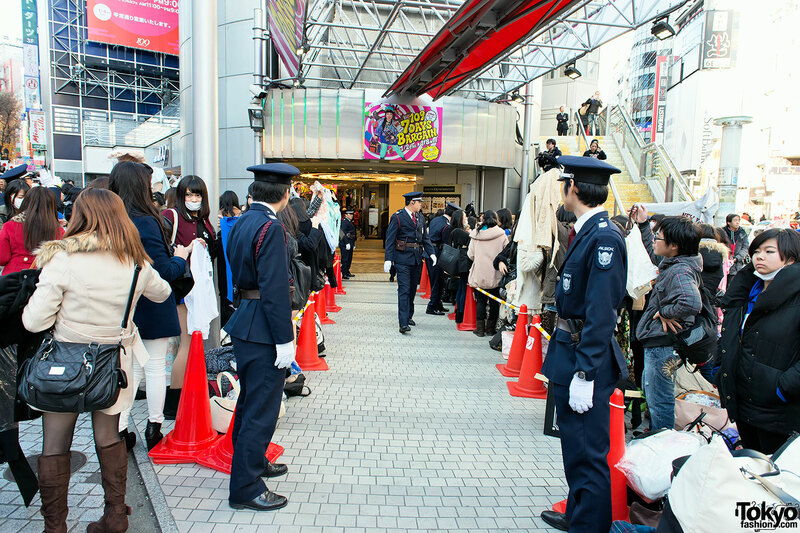 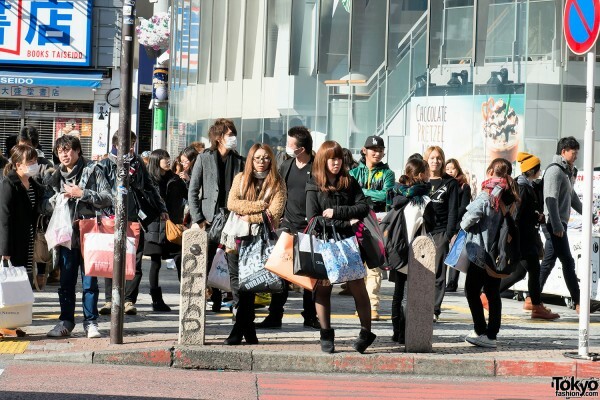 Fukubukuro season opens in Japan on January 1st and lasts for about a week. 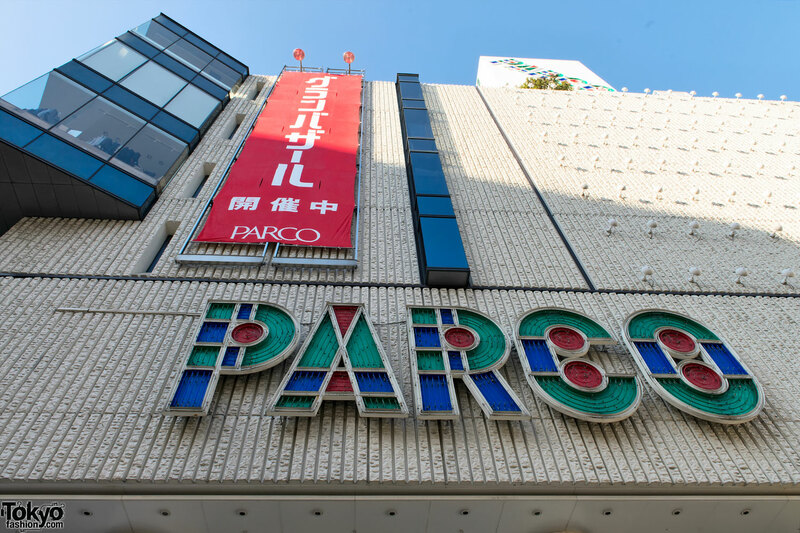 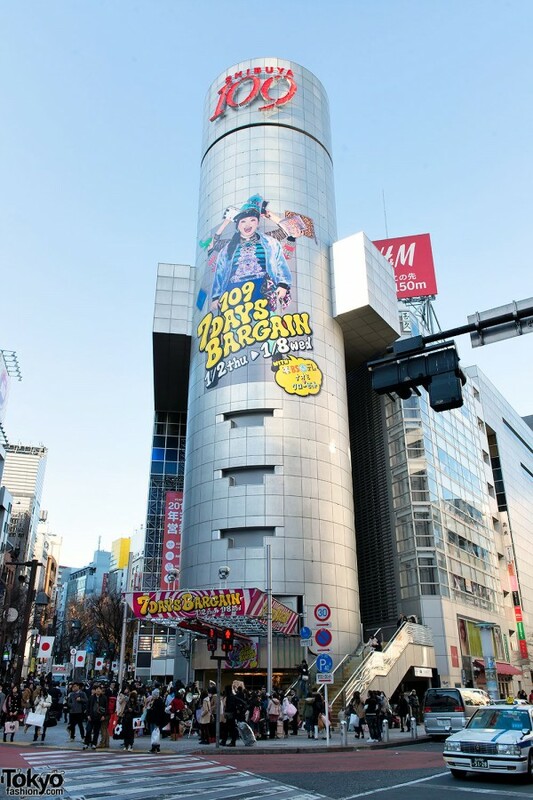 Harajuku’s famous LaForet Department Store kicks off the Fukubukuro season at 9am on New Year’s Day. 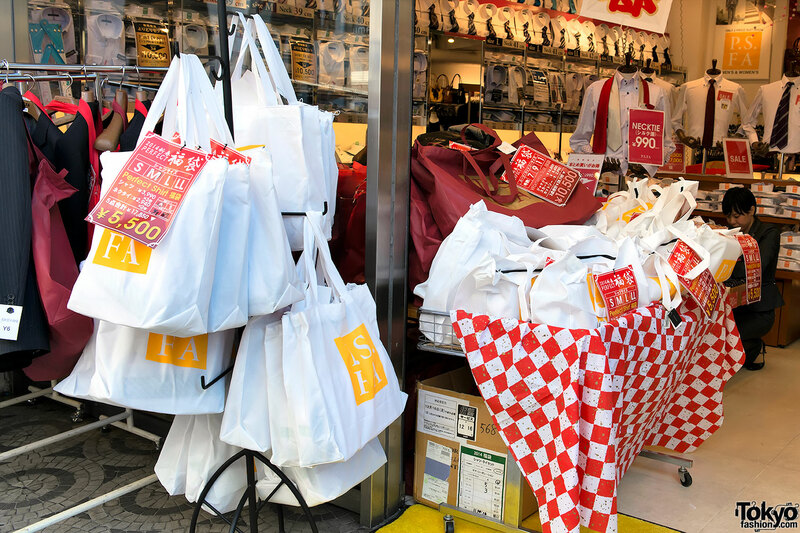 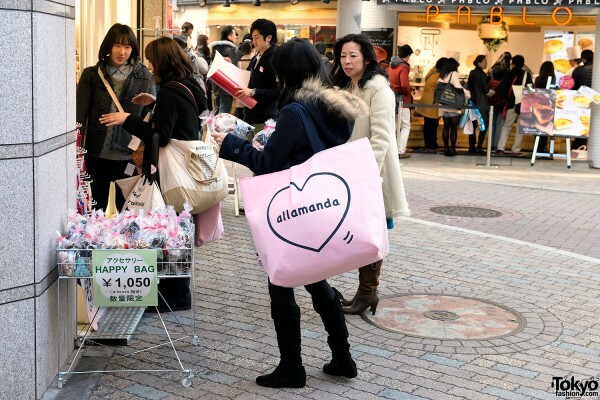 The popular shops often sell out of their lucky bags on the first day. Excited shoppers traditionally started lining up on New Year’s Eve. 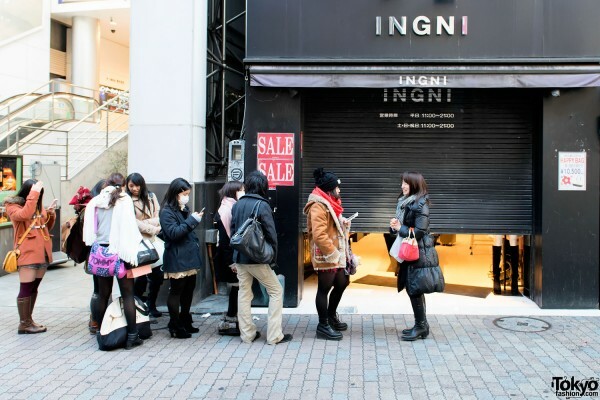 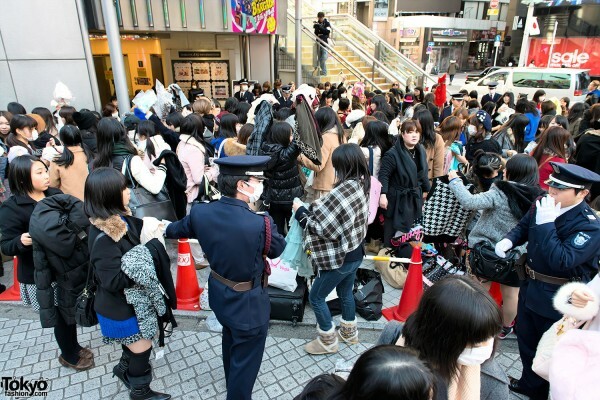 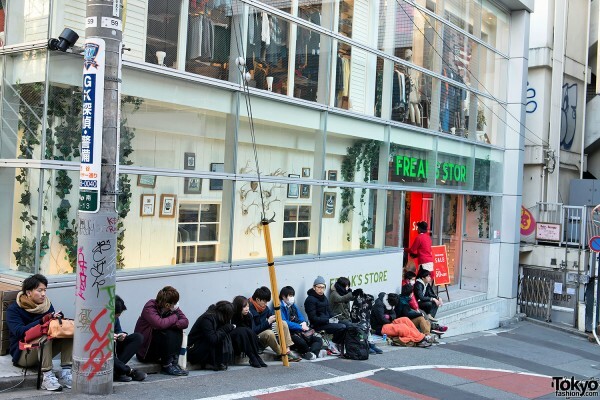 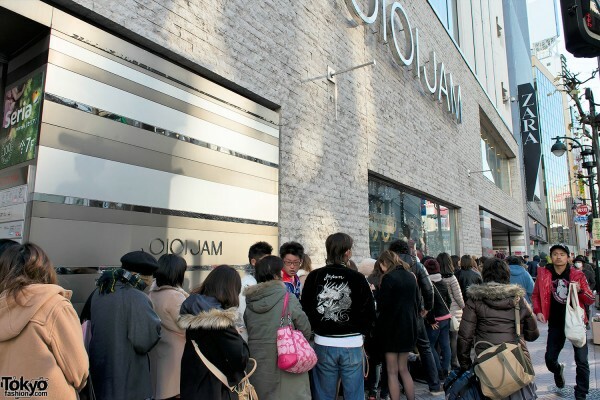 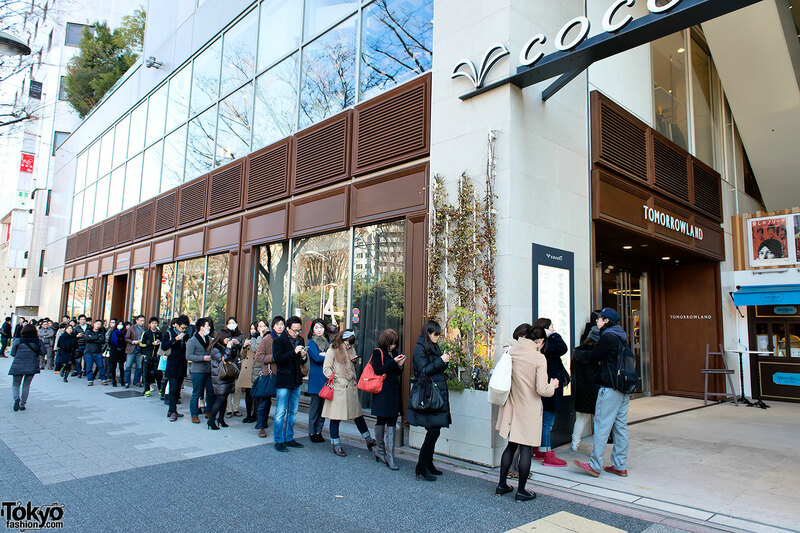 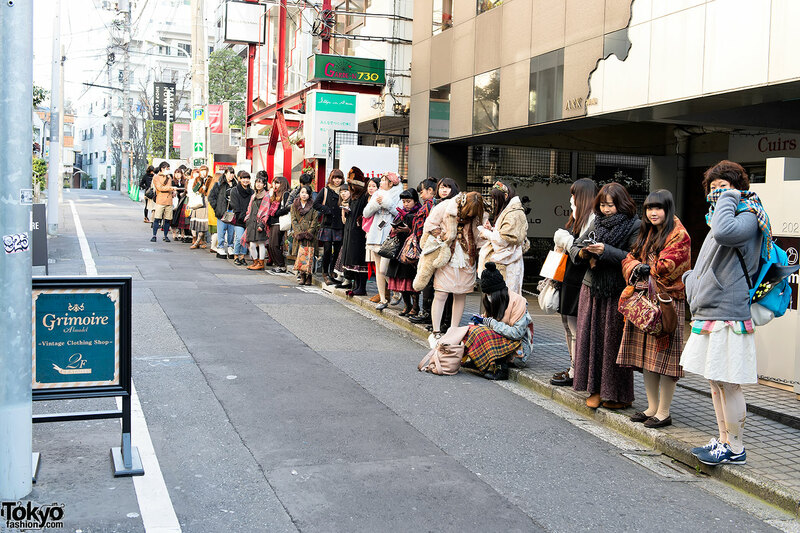 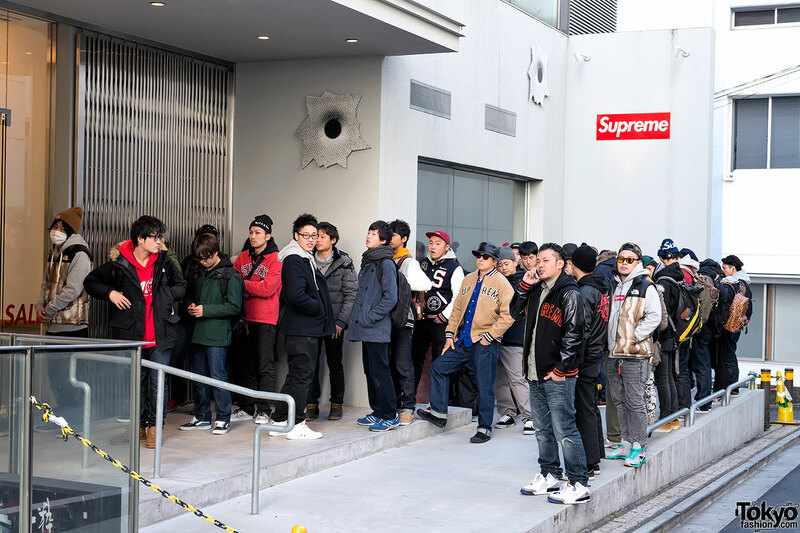 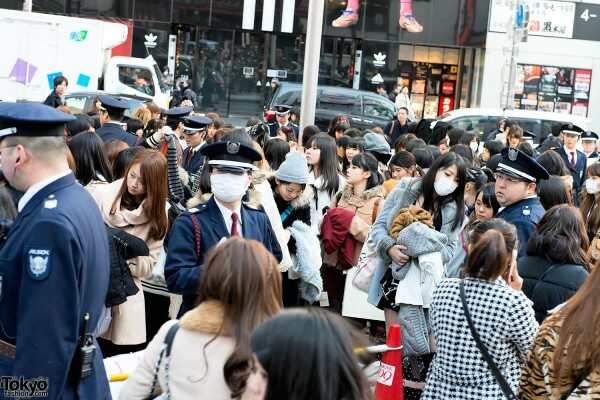 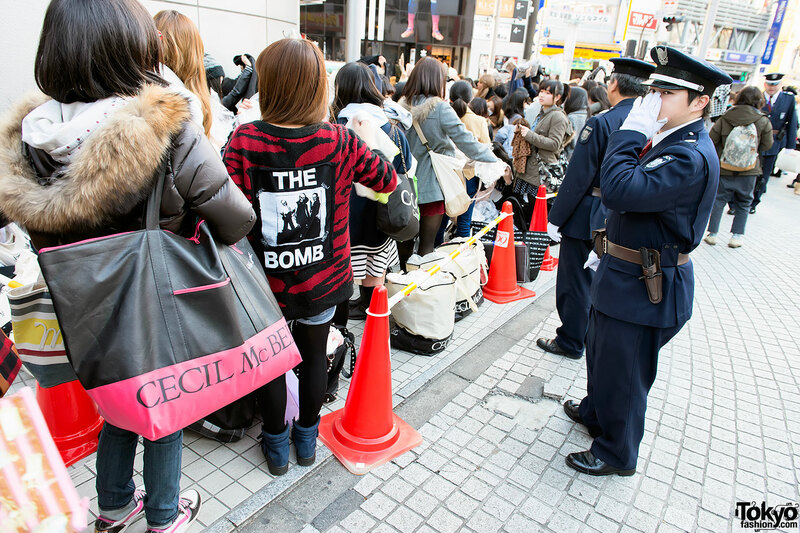 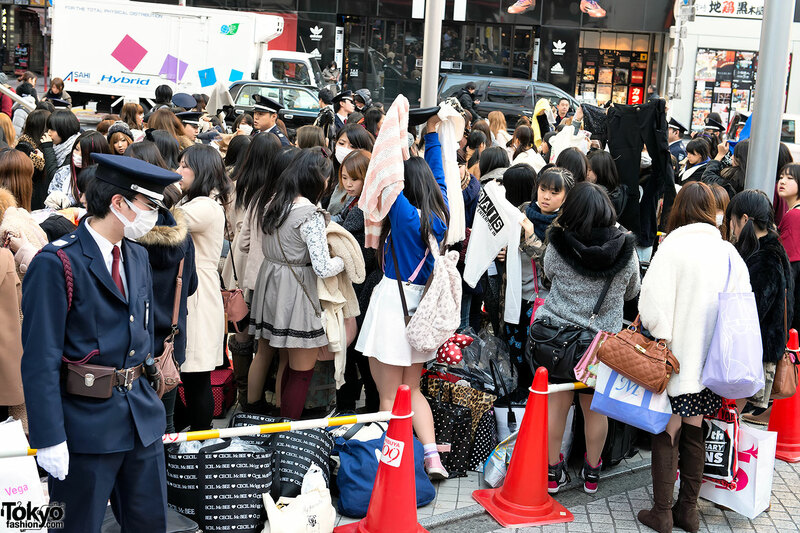 By the time doors opened, the line would be thousands of people long, taking up a full lane of Omotesando Dori. 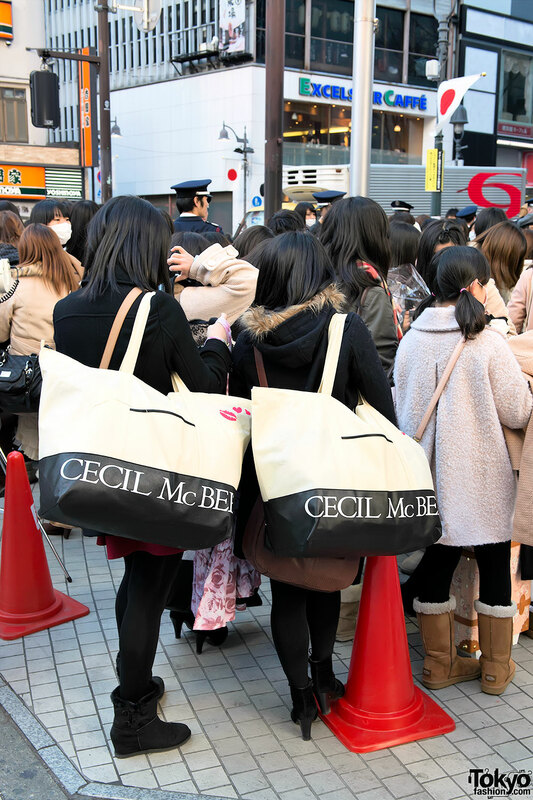 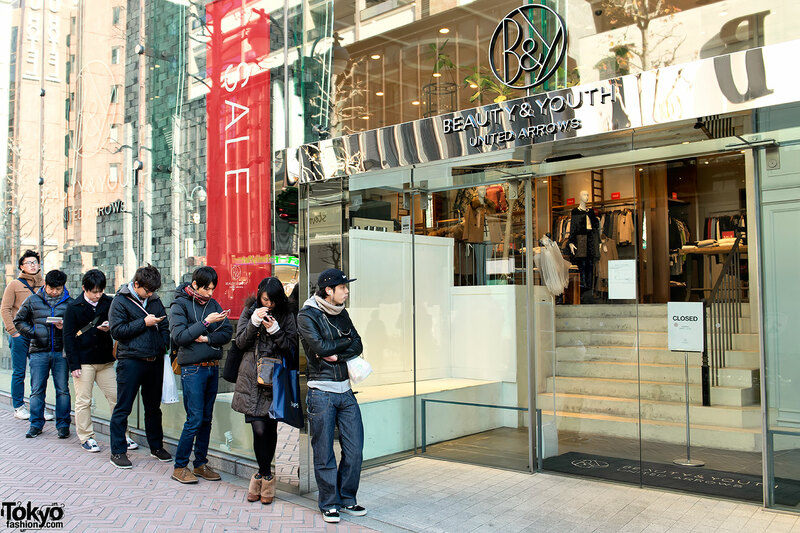 However, in recent years, most shops have gone to a system that allows online pre-reservation of lucky bags. The reservations have removed much of the incentive for shoppers to line up hours in advance. While there are still lines, they are much shorter, and the atmosphere at the moment of opening is much less hectic than in years past. 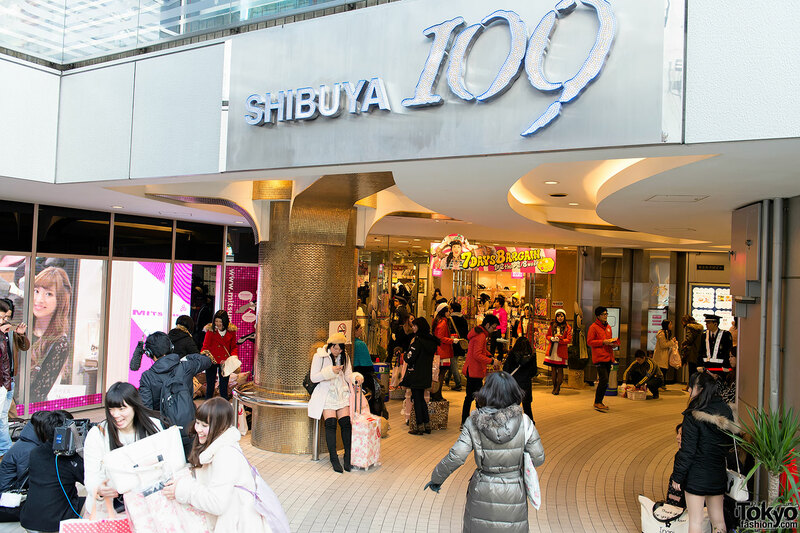 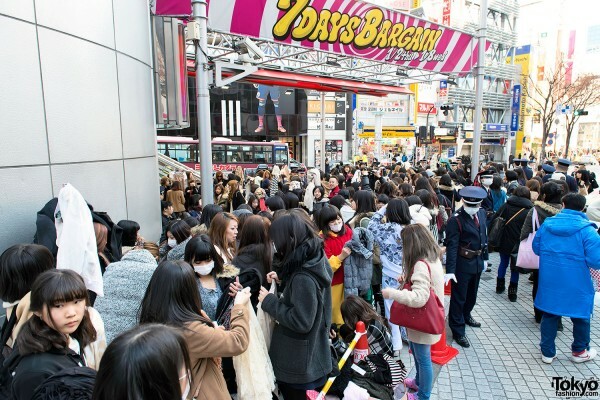 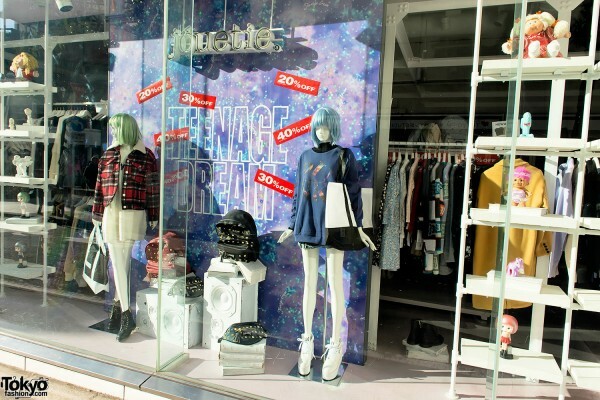 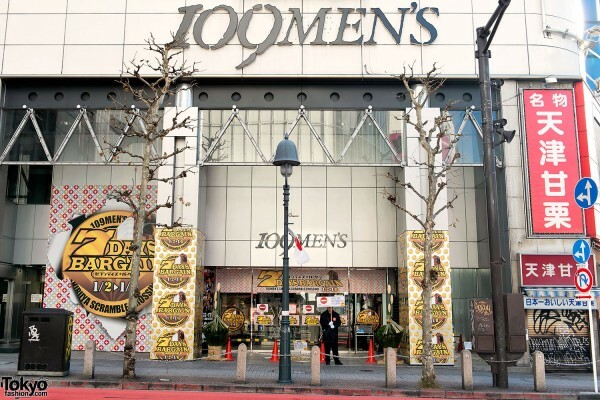 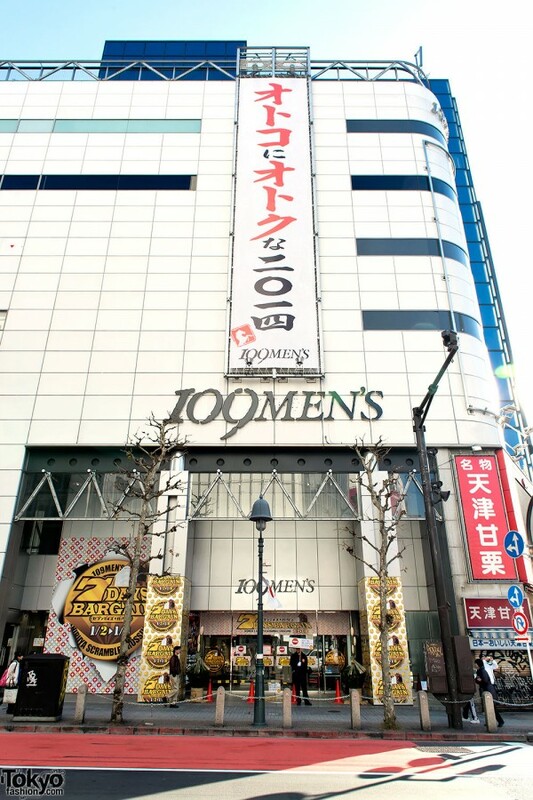 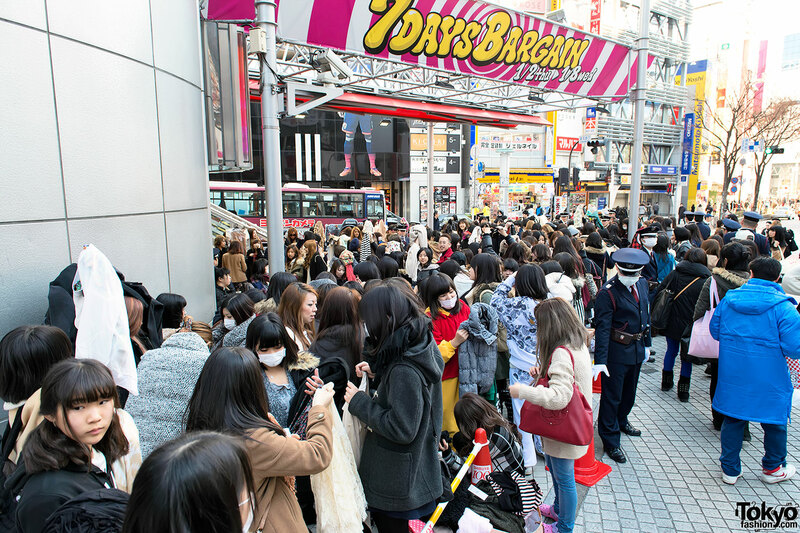 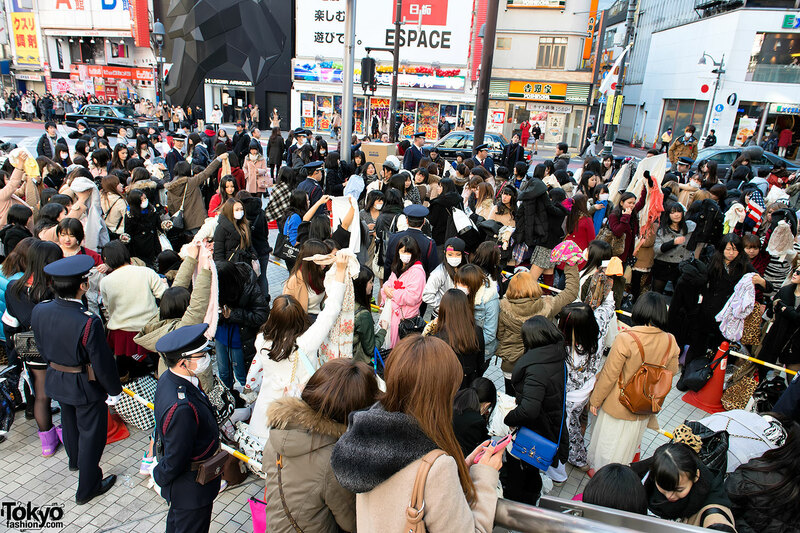 Shibuya 109’s famous fukubukuro sale starts on January 2nd. 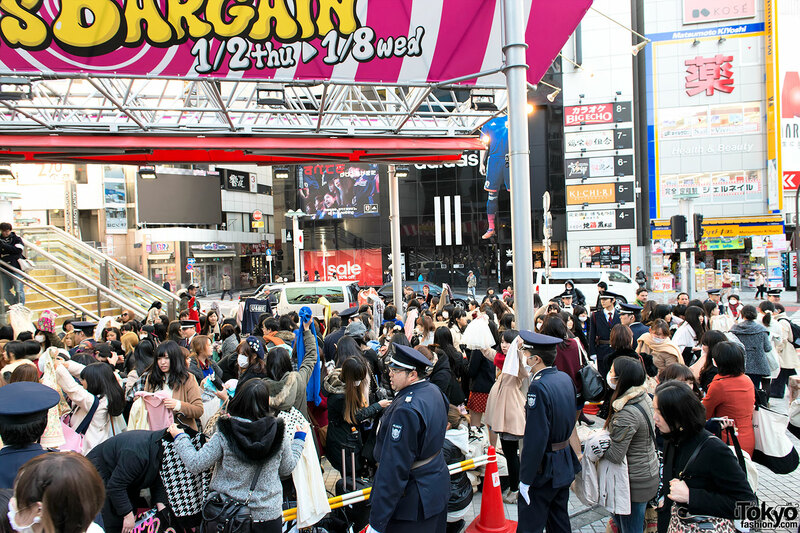 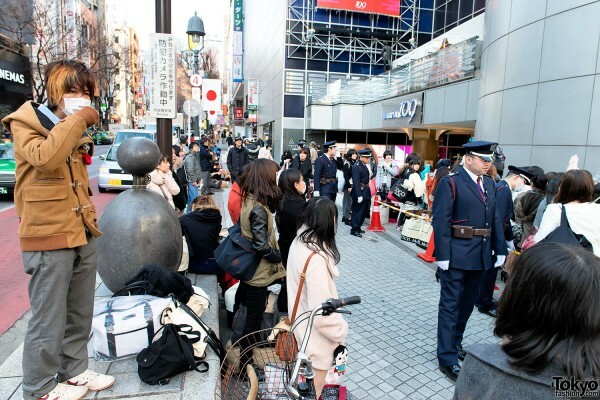 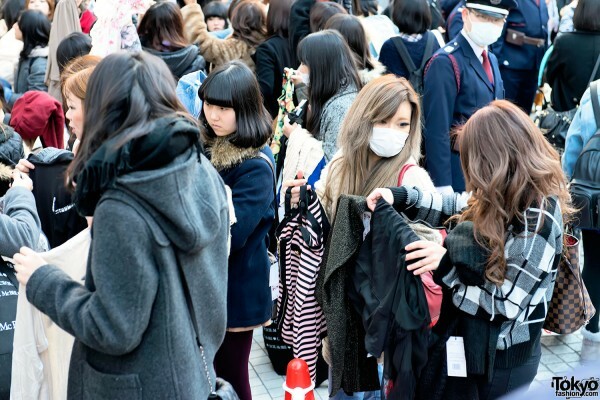 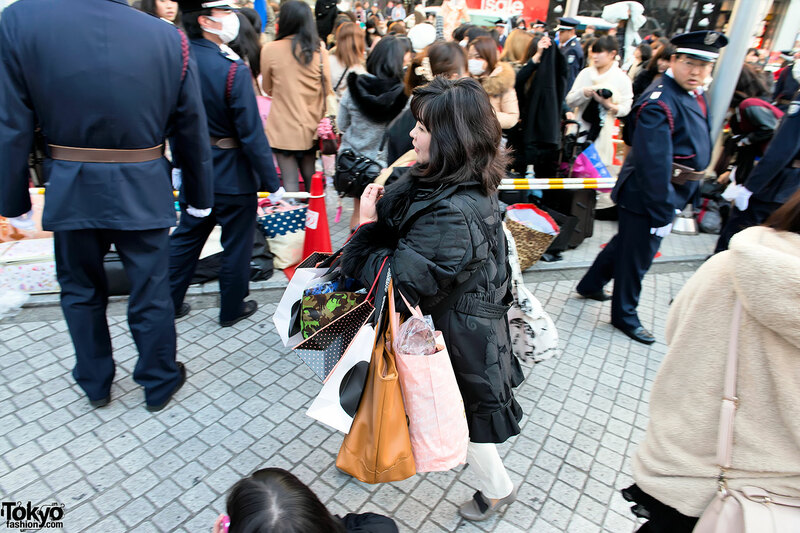 The area in front of Shibuya’s most famous department store is transformed into a makeshift swap meet. 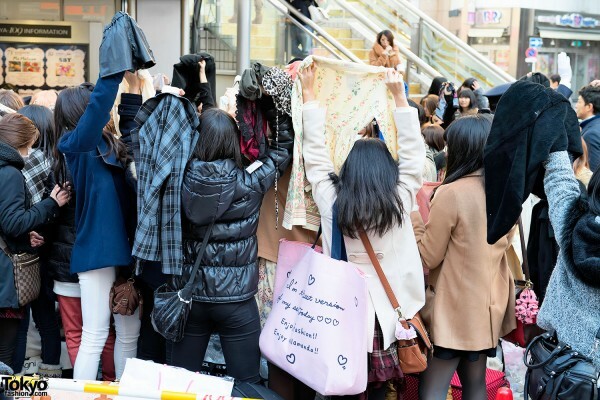 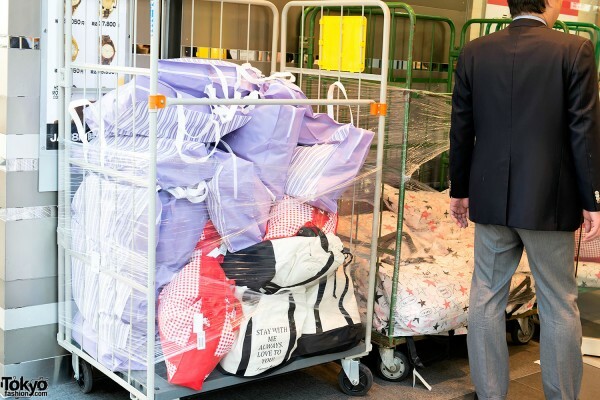 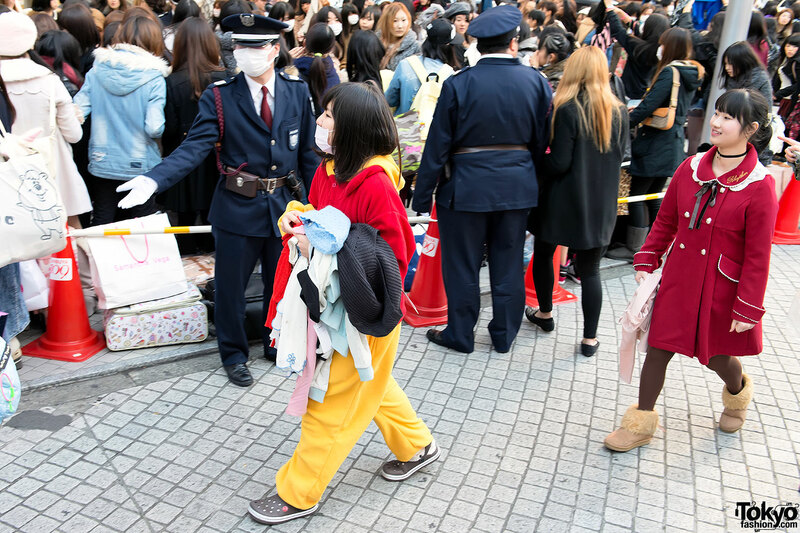 Shoppers shout and wave items in the air, hoping to trade these unwanted shirts or jackets from their bag for something more interesting from another shopper’s bag. The free-wheeling swap meet not only adds to the festive atmosphere of the sale, but also lessens the risk of buying a bag full of unknown goods. 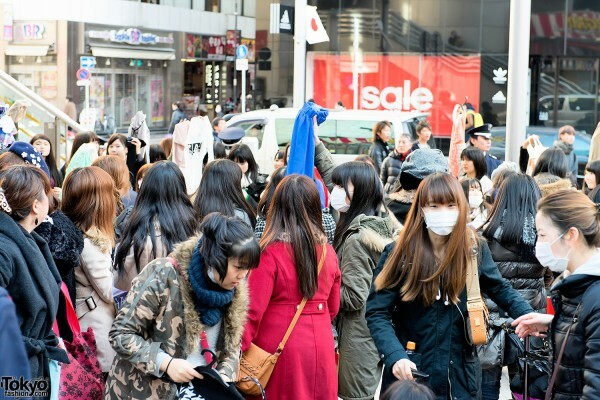 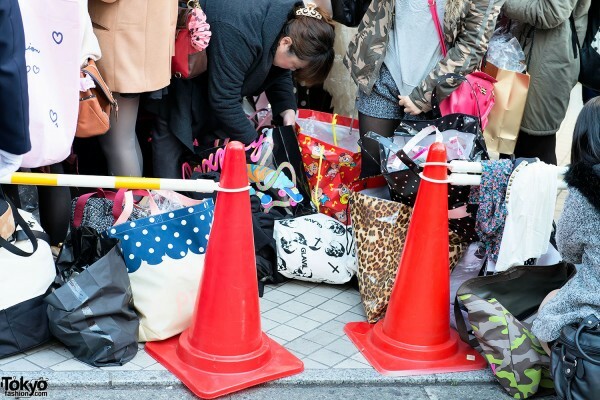 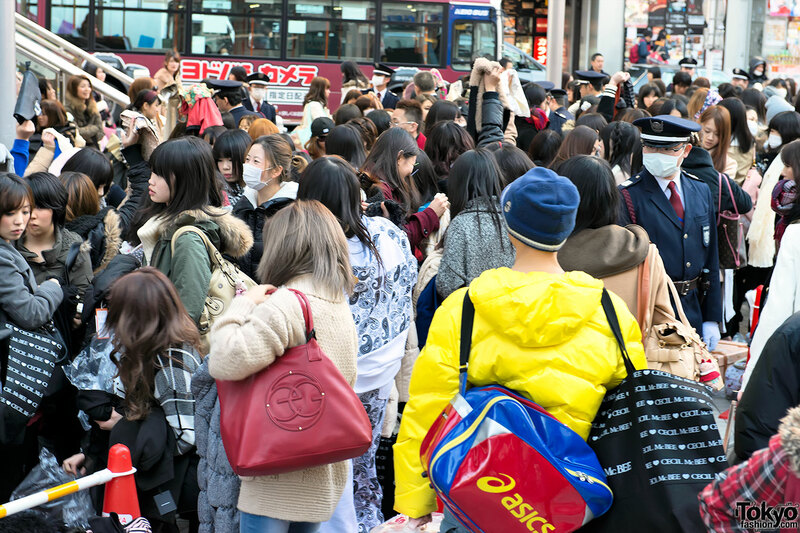 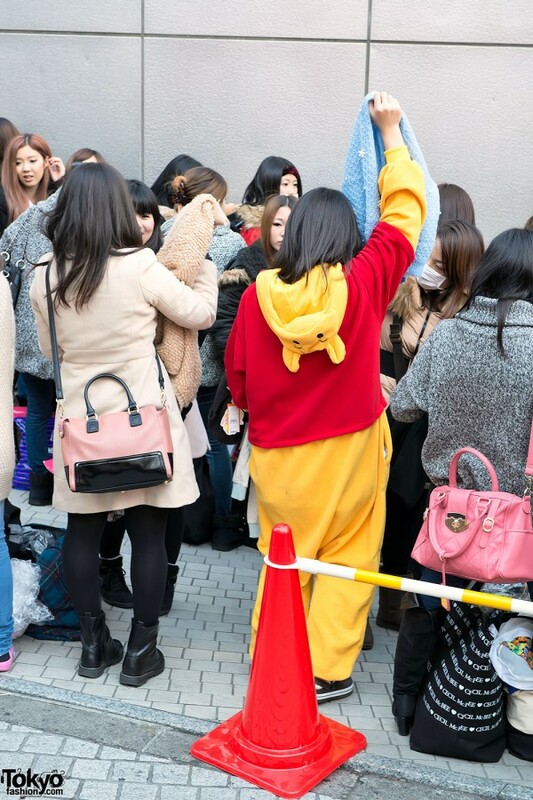 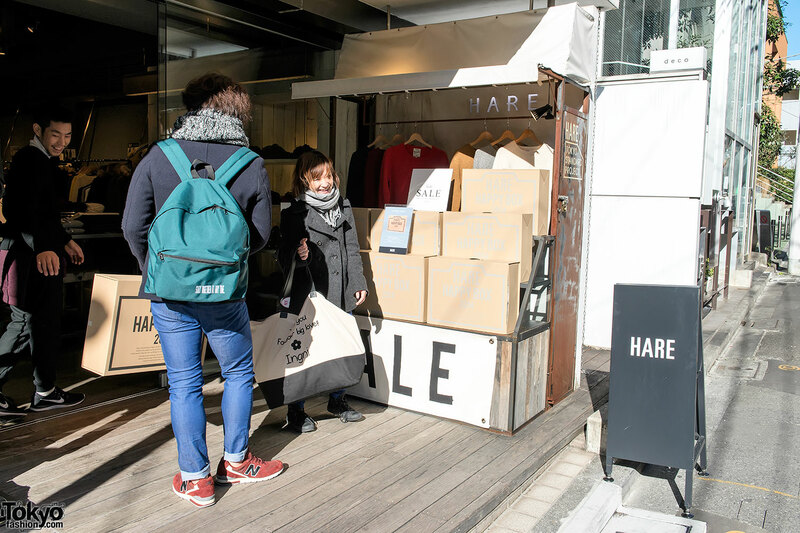 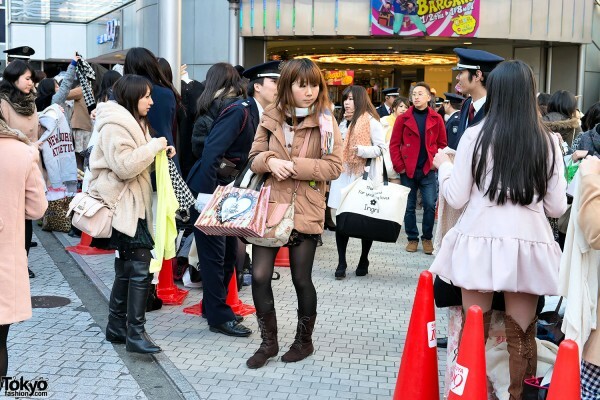 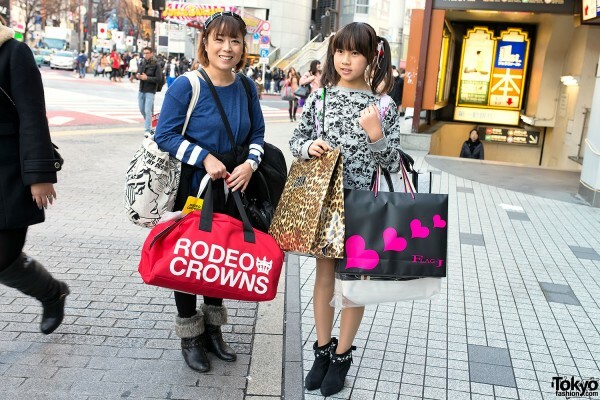 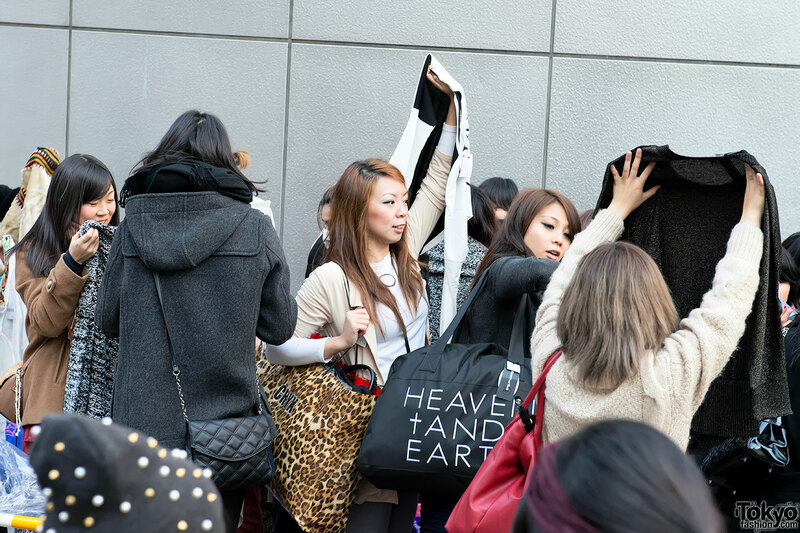 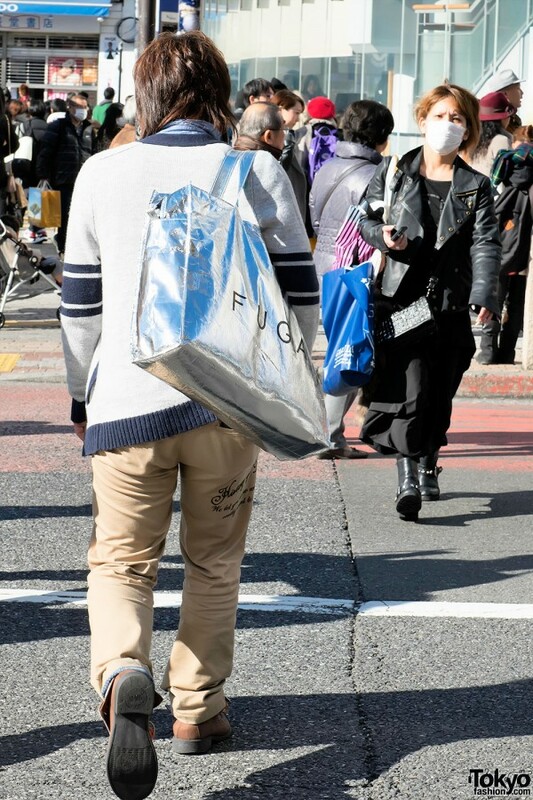 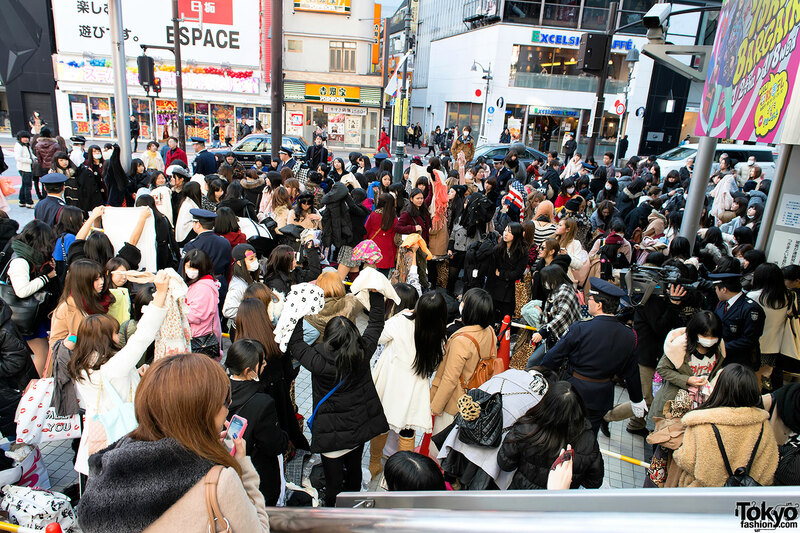 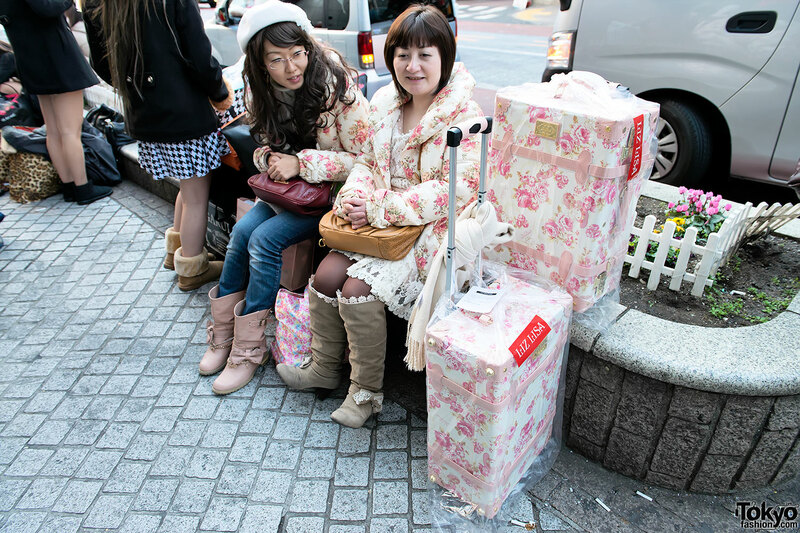 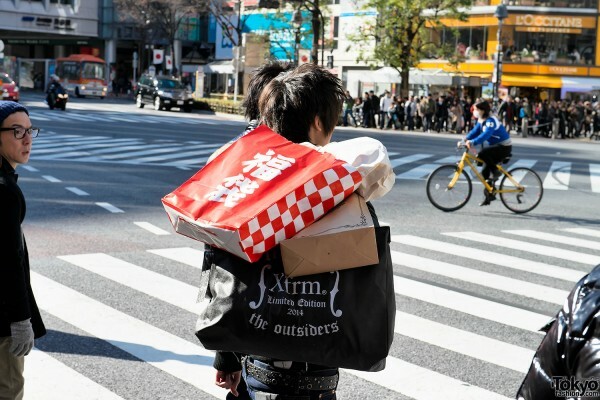 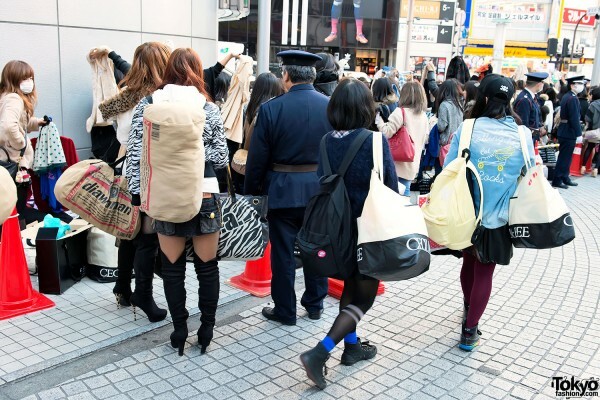 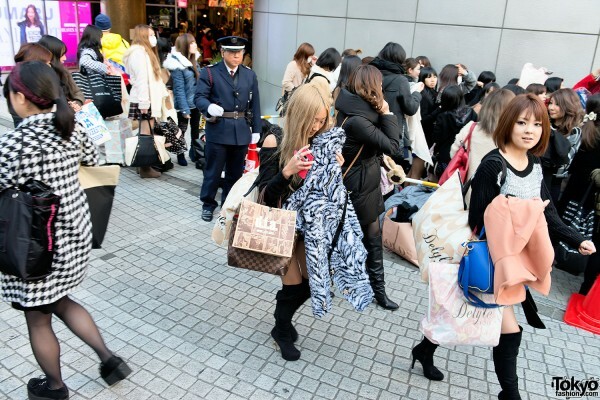 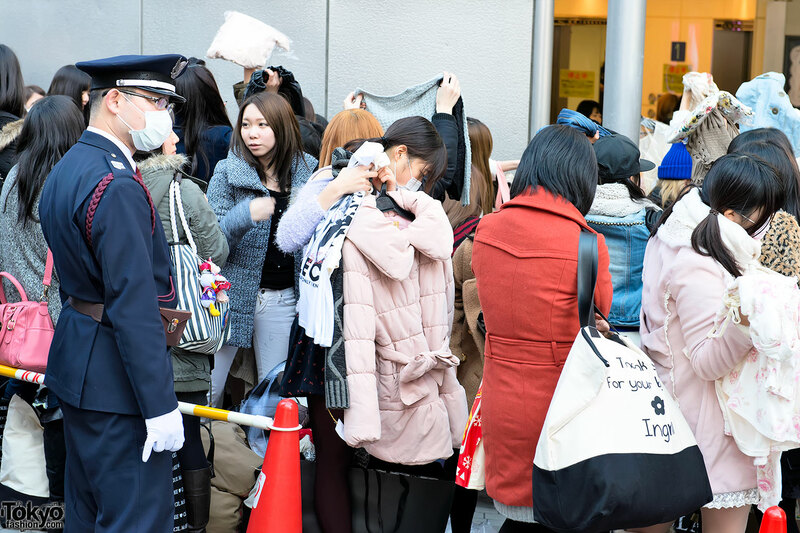 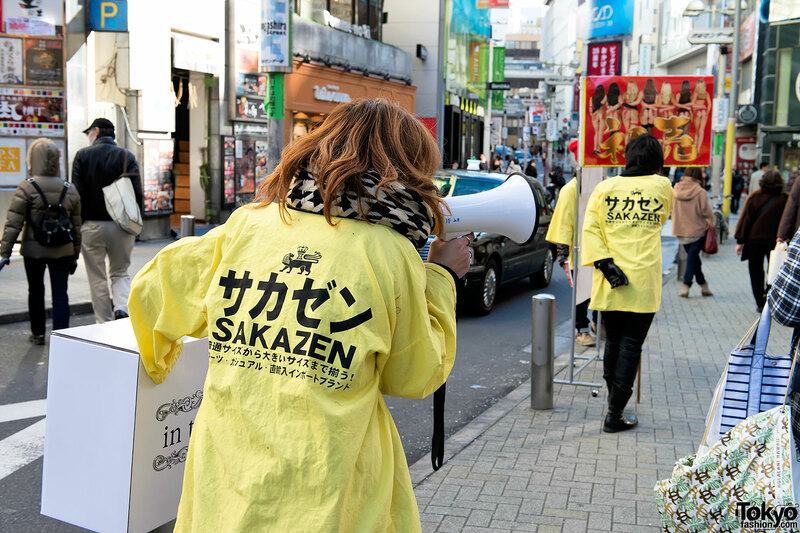 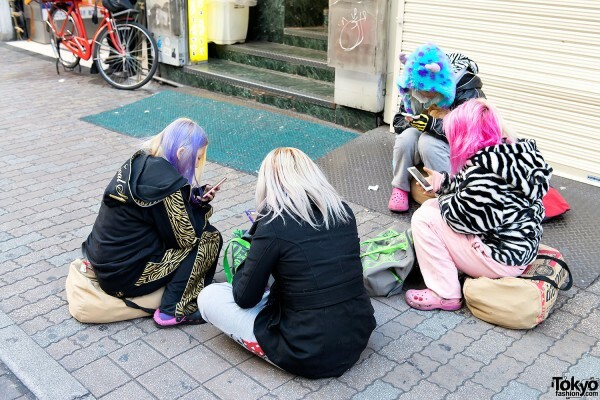 As we do every year, Tokyo Fashion hit the streets of Harajuku and Shibuya to document the 2014 fukubukuro sale madness for those of you who couldn’t make it. 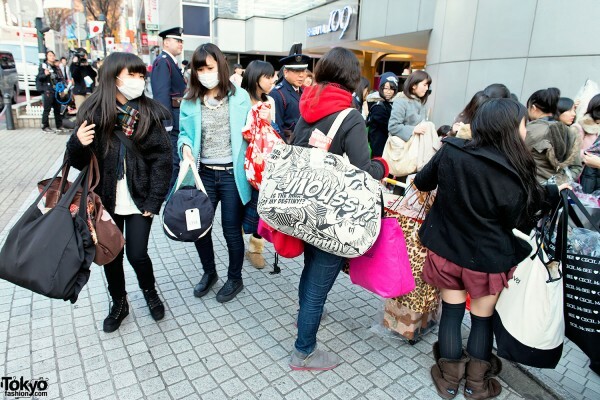 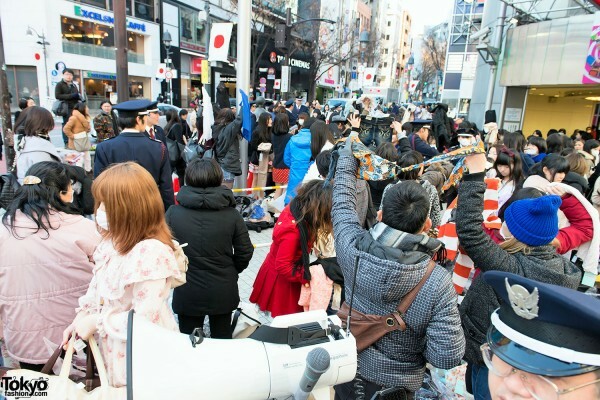 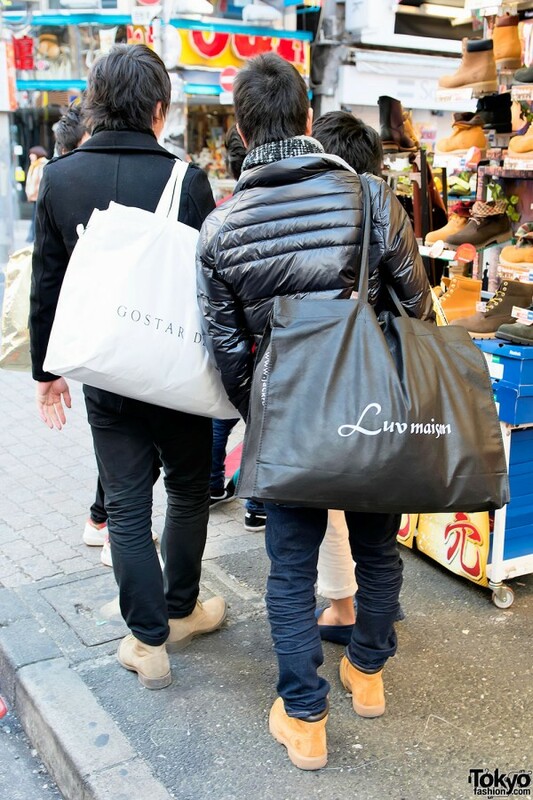 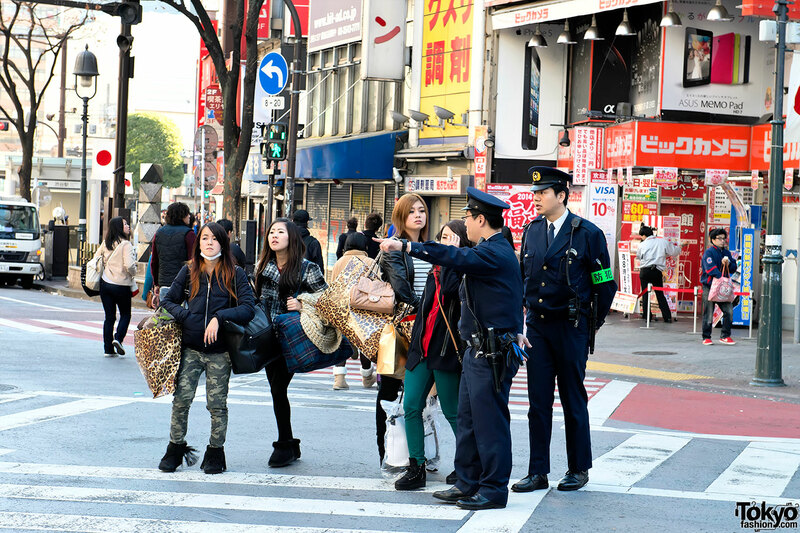 In this first report, you’ll witness the chaotic scene outside of Shibuya 109 and the lucky bag sales around the streets of Shibuya on the morning of January 2, 2014. Our second report (coming soon) will cover LaForet Harajuku and the Fukubukuro sales on Takeshita Dori and Urahara. 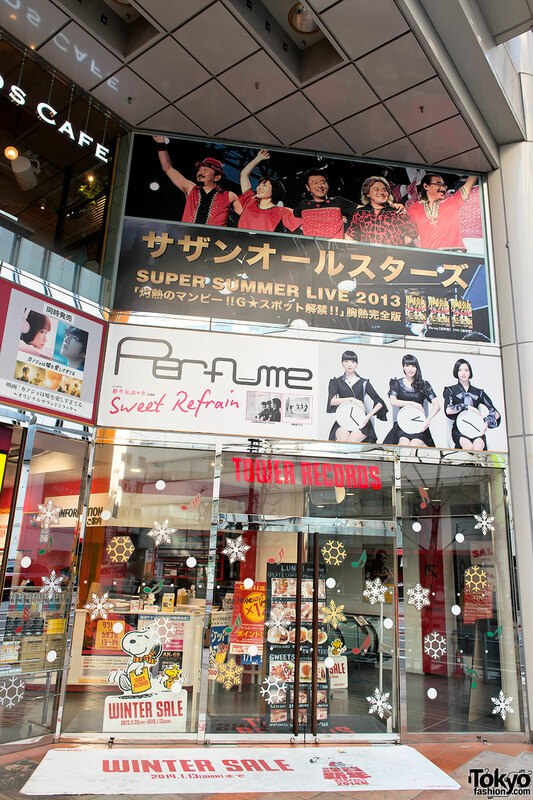 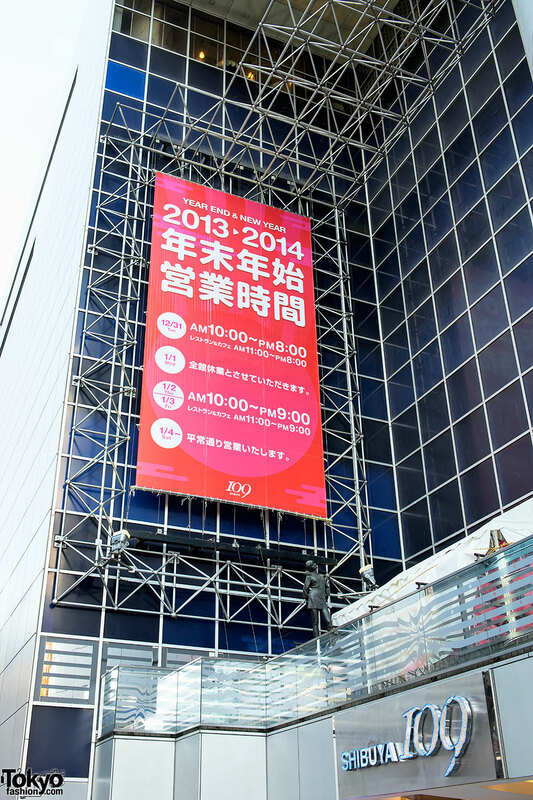 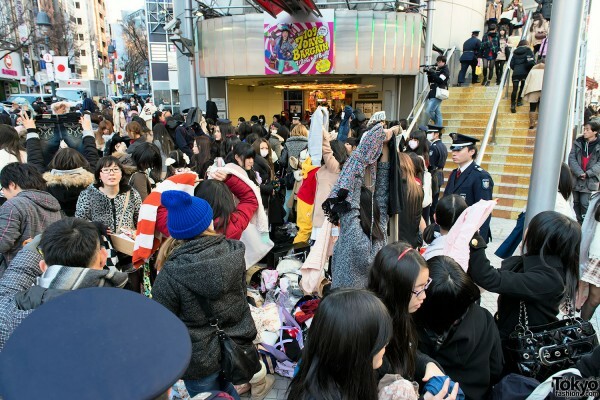 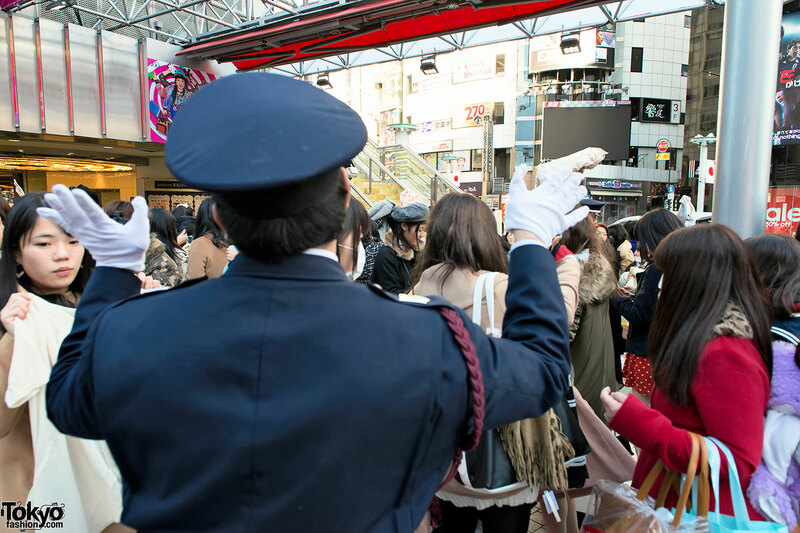 Enjoy all of the Shibuya fukubukuro pictures, and we hope to see you in Tokyo for New Year’s Sales next year! 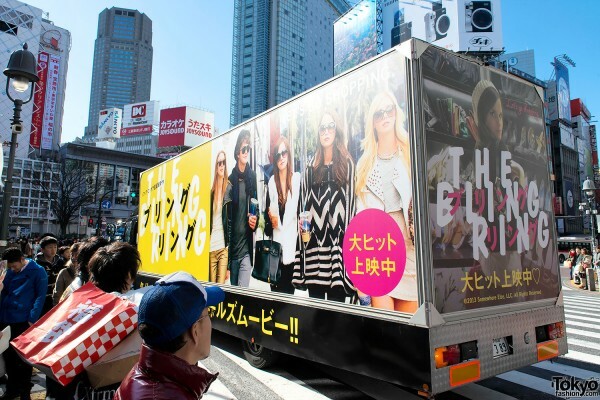 That looks awesome~ I wanna go one day! 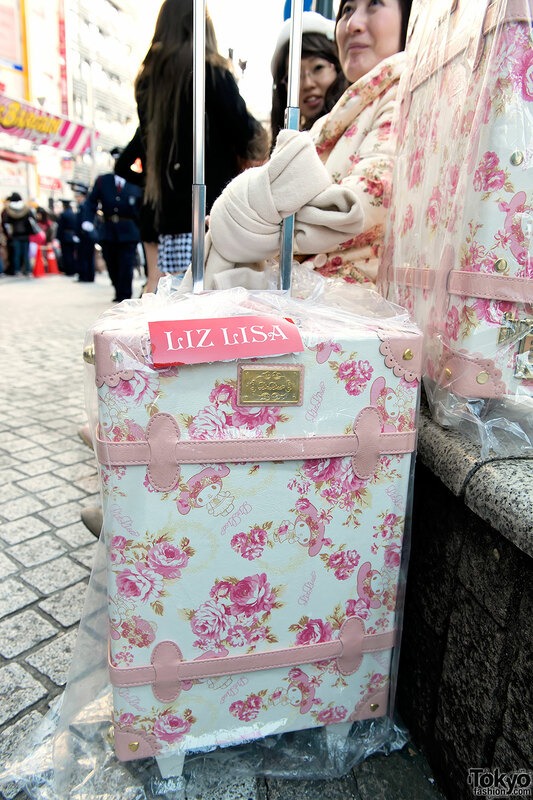 Ooohh I see lots of pics featuring Liz lisa there ^_~ It’s definitely my fav brand. 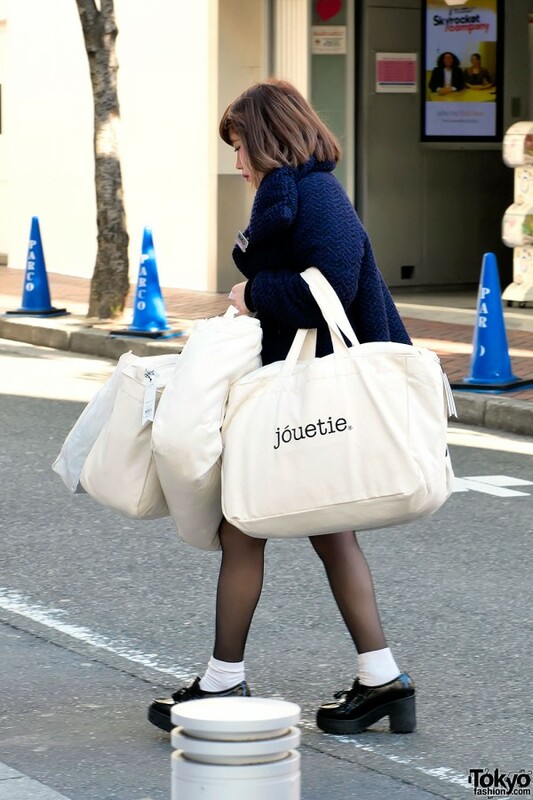 I wish could gou shopping in Tokyo Japan, that will be awesome to shop at any store. I love to shop till I drop it like it’s no tomorrow. 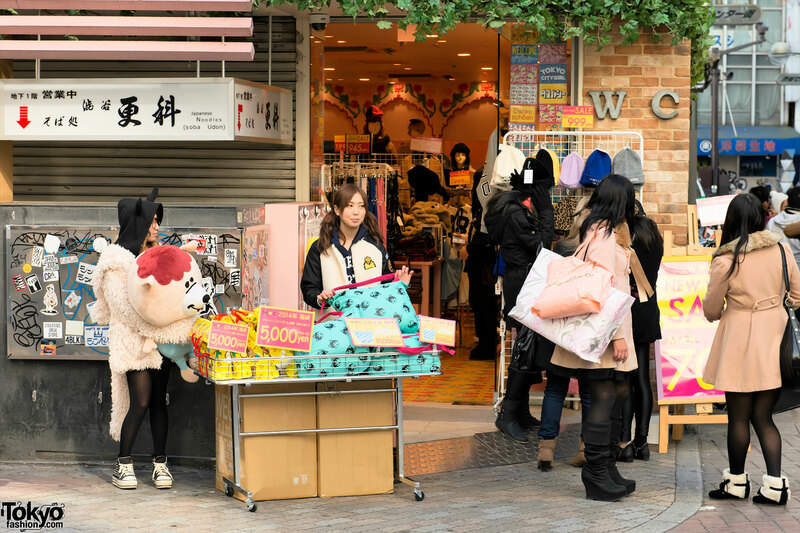 I wonder if I could get some cute outfits in Tokyo Japan? 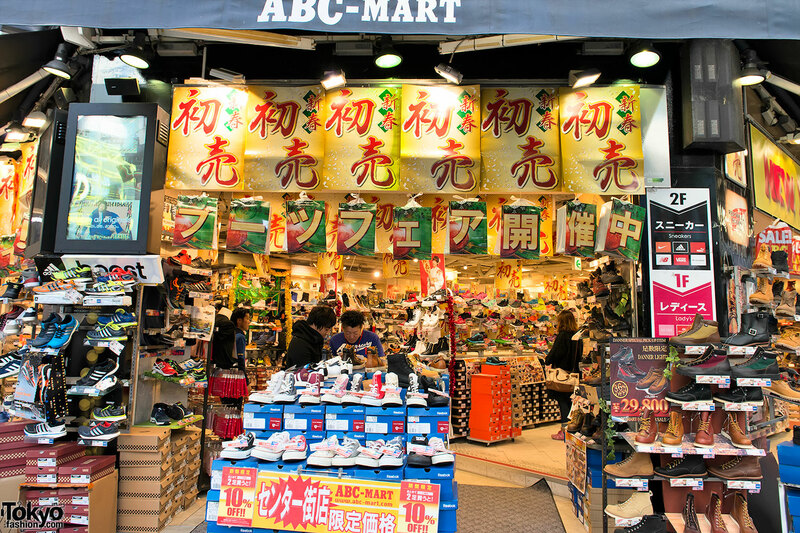 Also I do love to shop at any store. 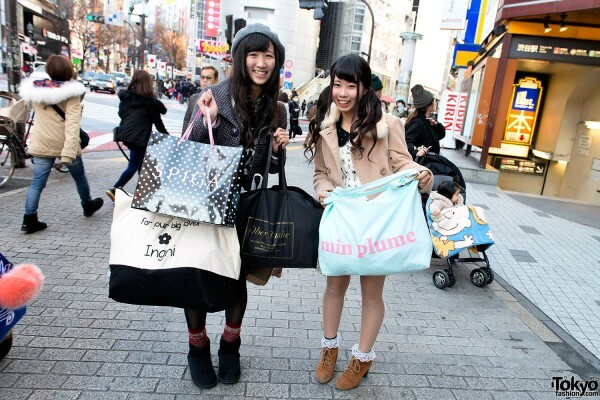 But I do want to shop in Tokyo Japan. 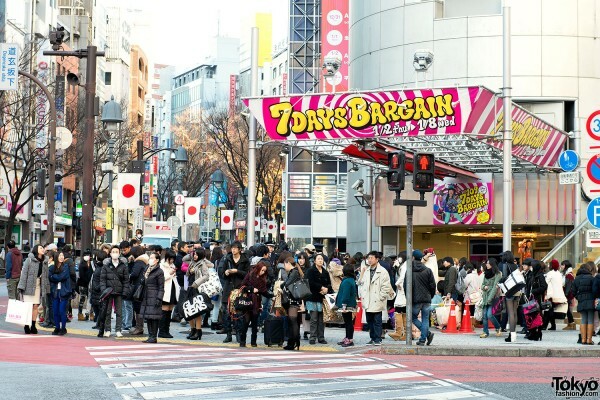 That will be awesome for me, to shop in Tokyo Japan. 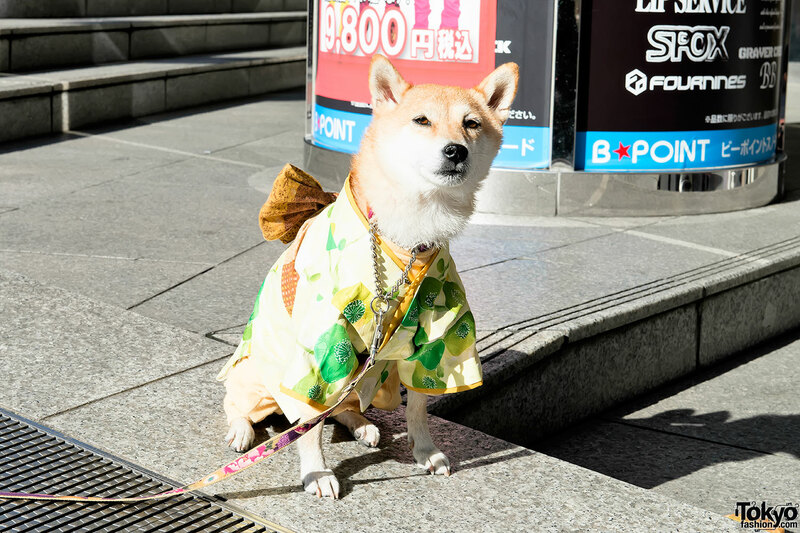 Thank you very very much for the pics. 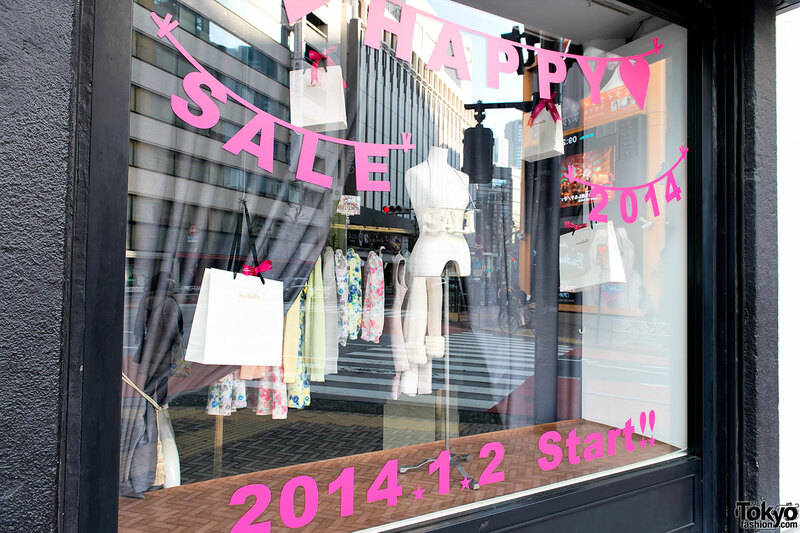 So happy to see. Now I am berating myself for not doing this whenni lived there and doubt if can go back. Why I appreciate you doing all this. 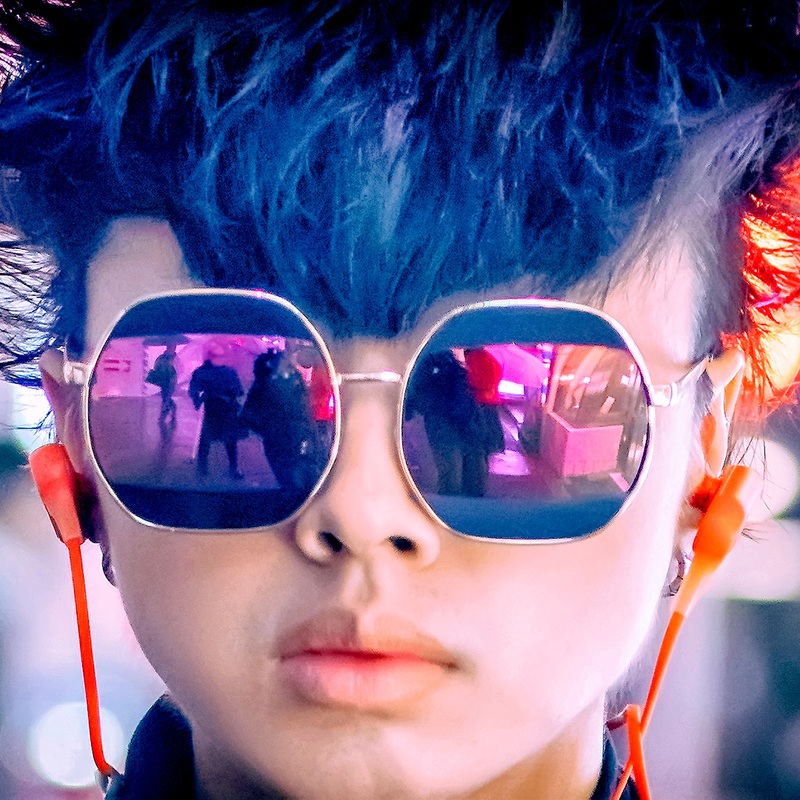 wowwww!!! 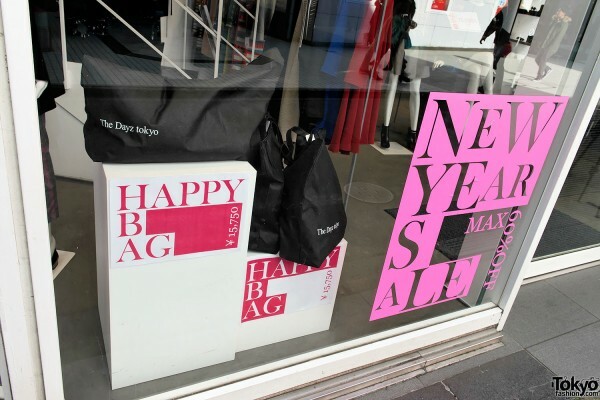 I always see these pictures every years!! 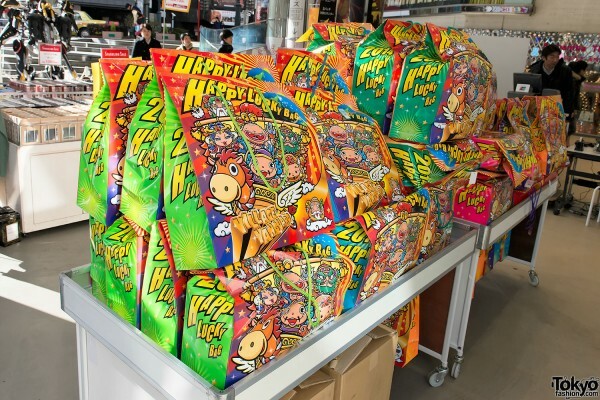 and always it look so great . 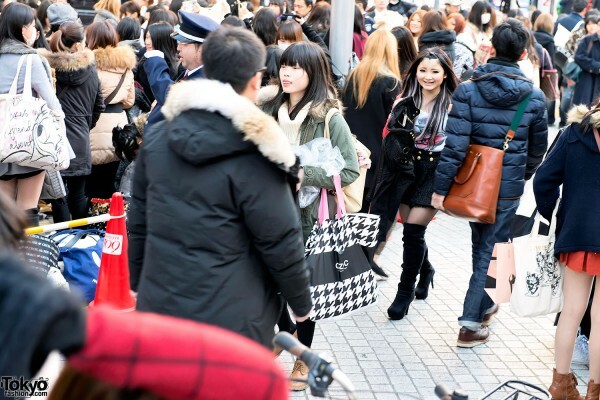 like the note said there were much less people than years before .. but Aniway i noticed that everibody looked really happy and the girls were so beautifull ! so i hope to visit tokio one day in seasons like that i`m sure i will know tokio its one of my many goals jeje bye and greetings from colombia! !